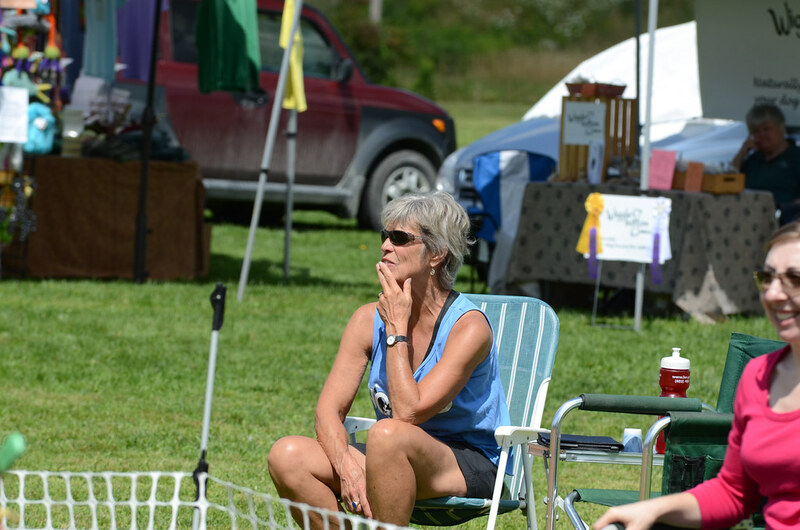 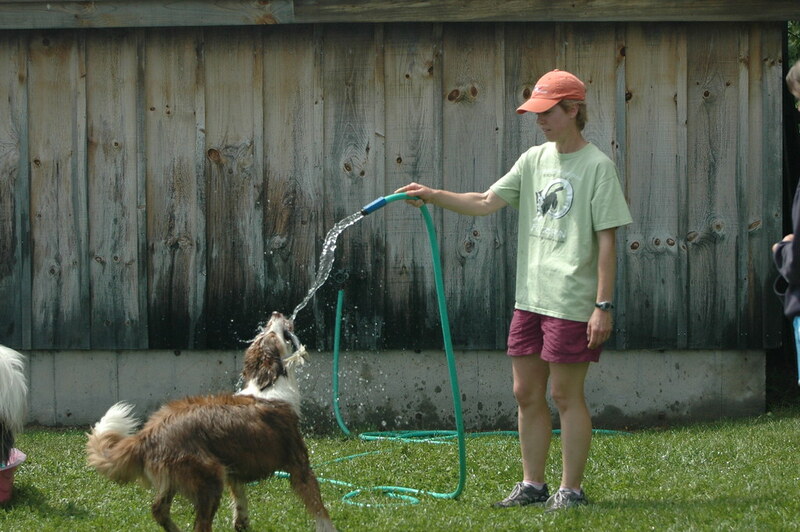 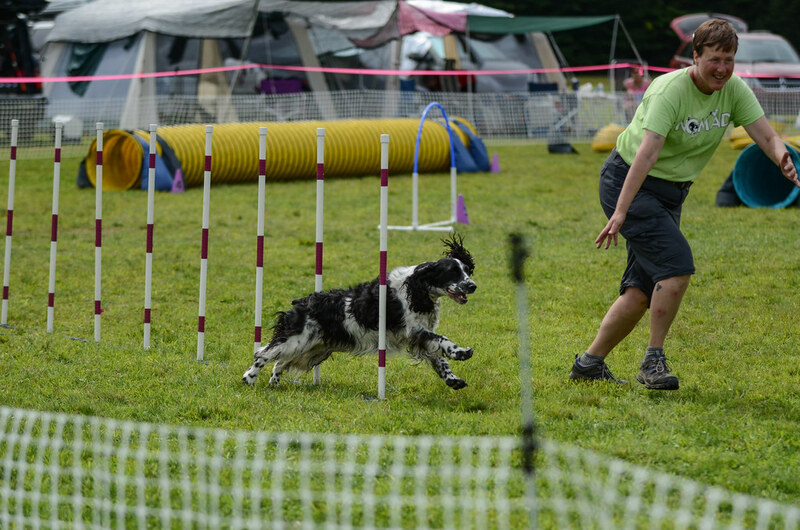 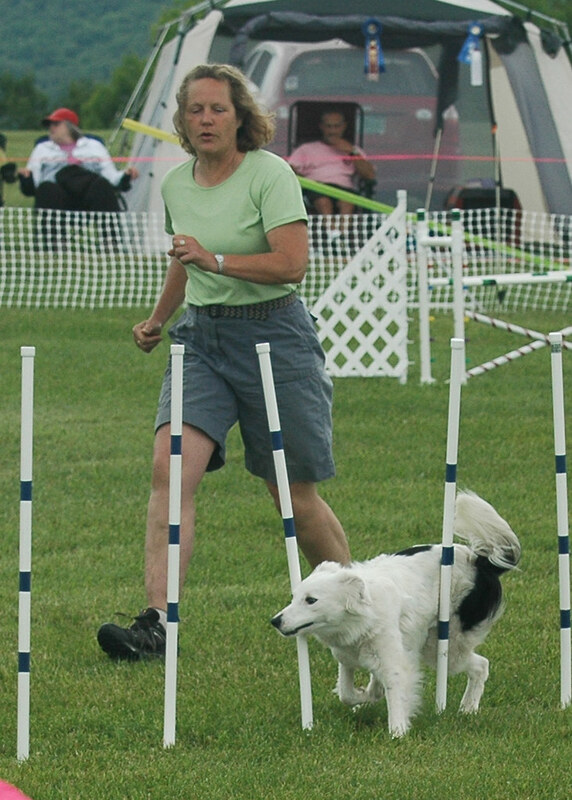 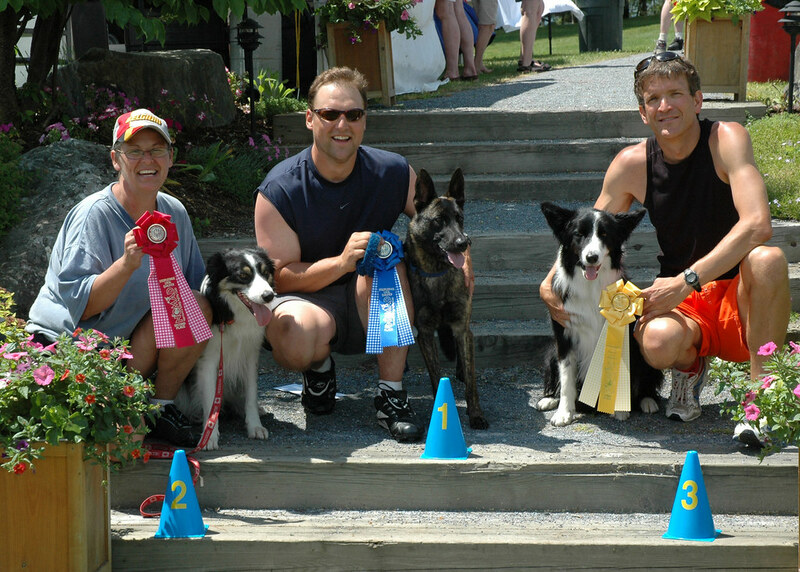 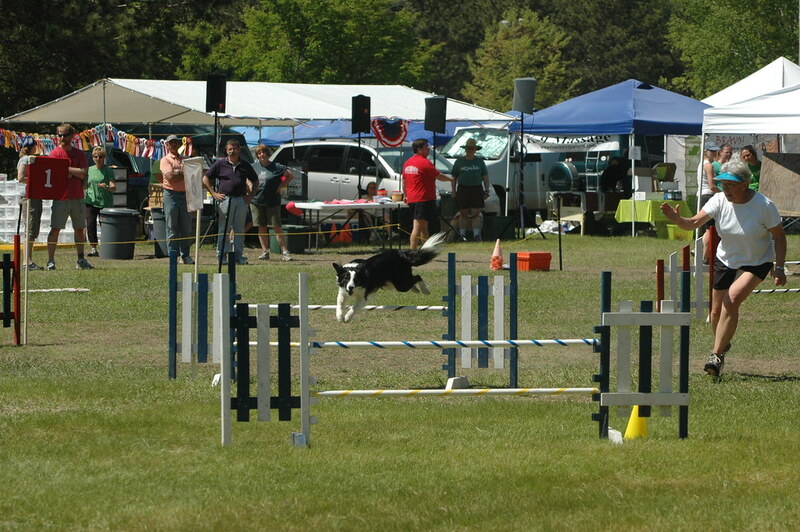 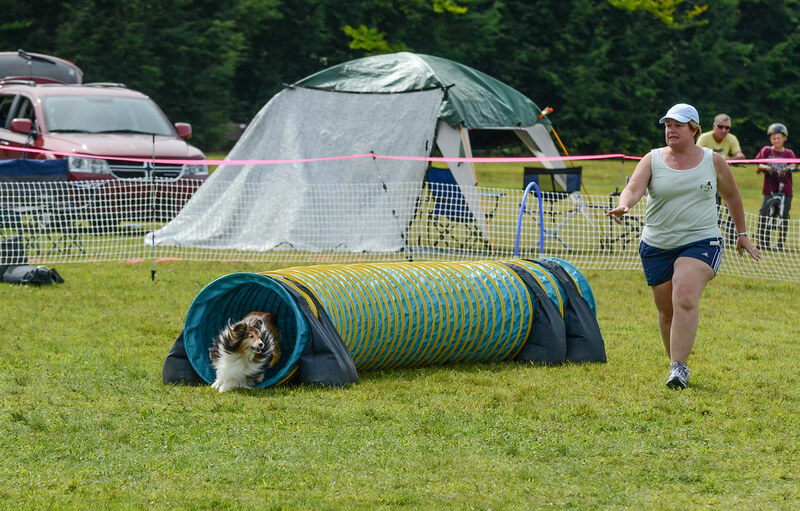 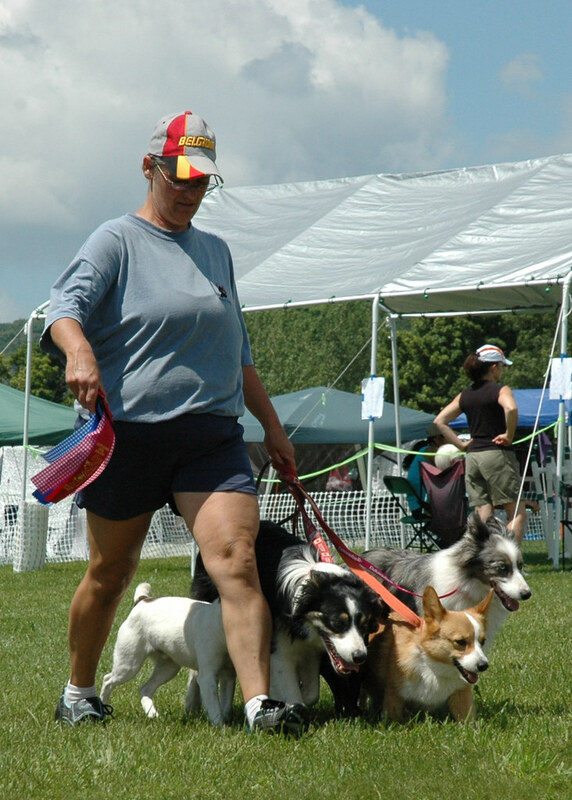 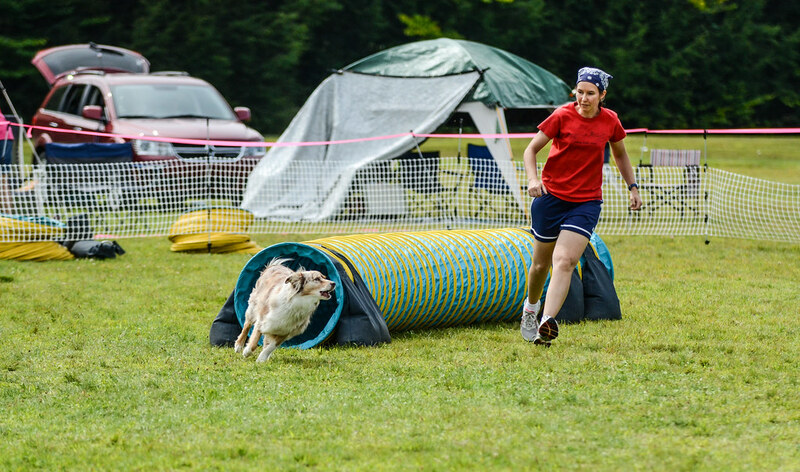 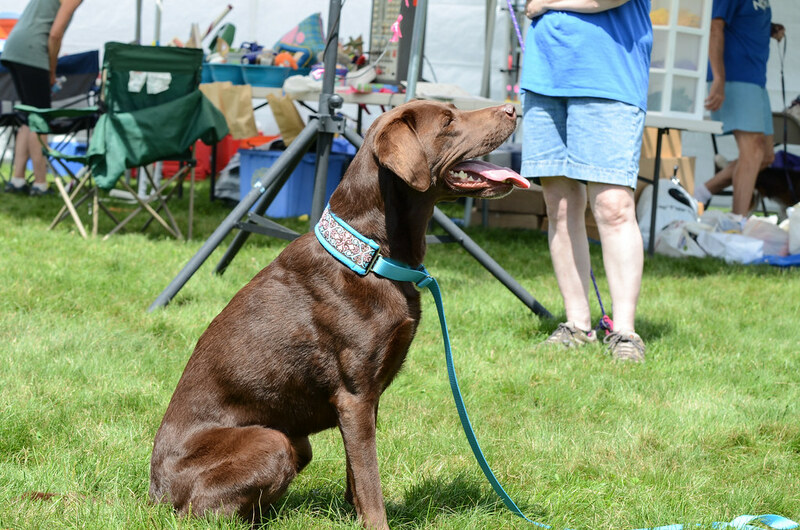 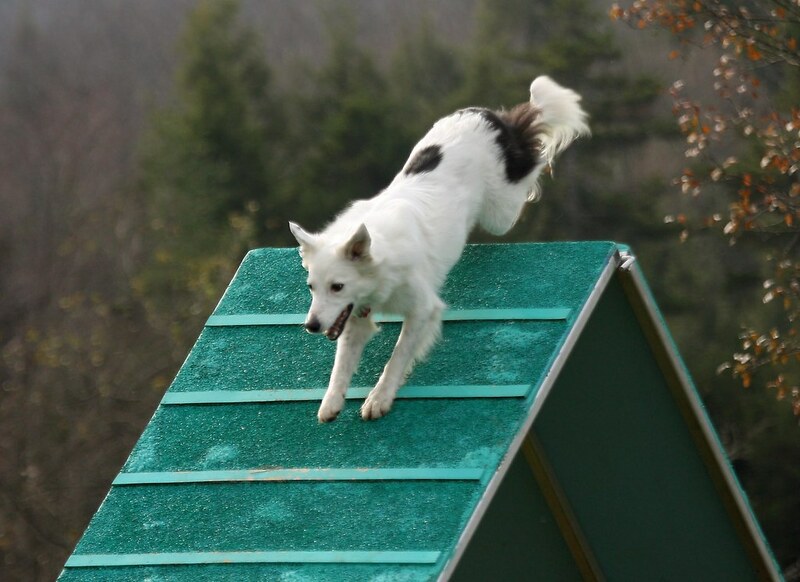 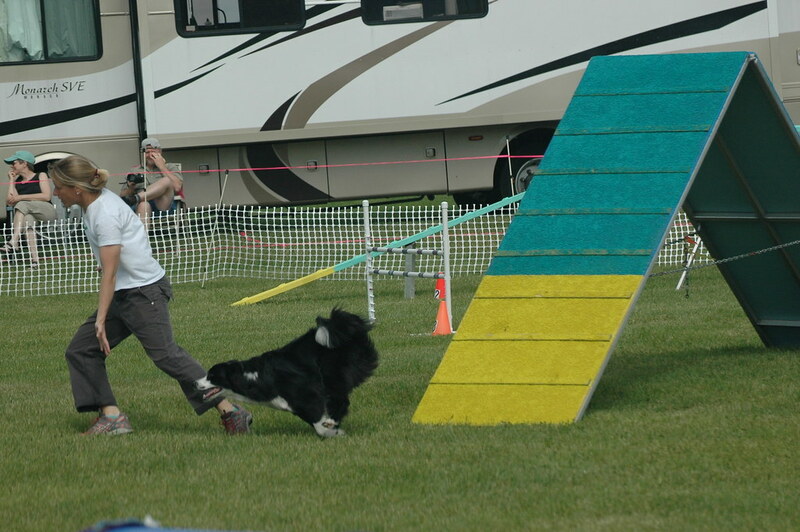 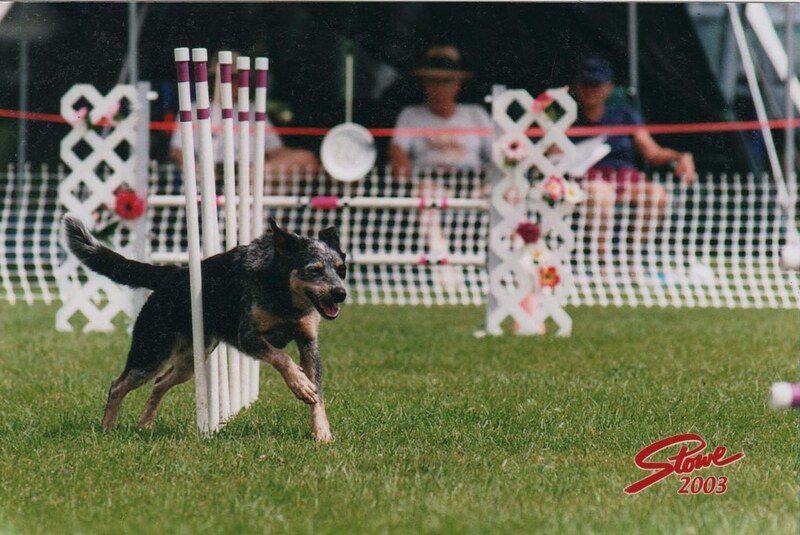 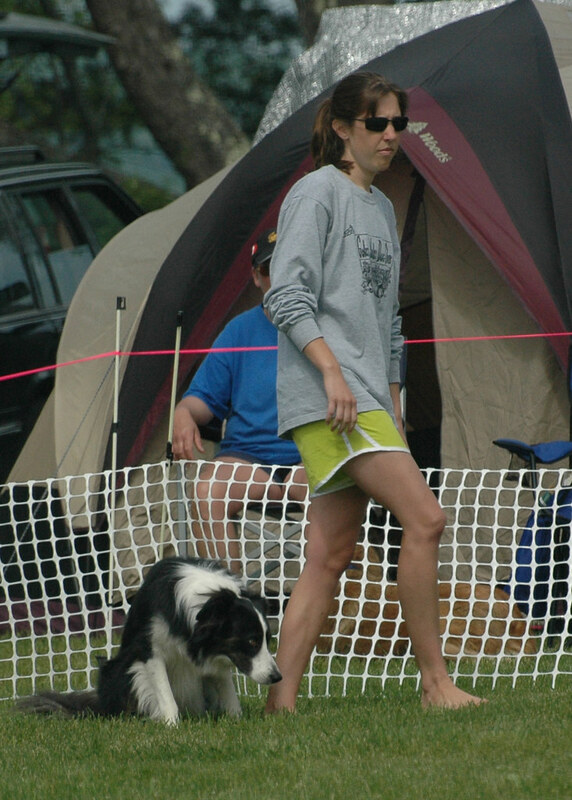 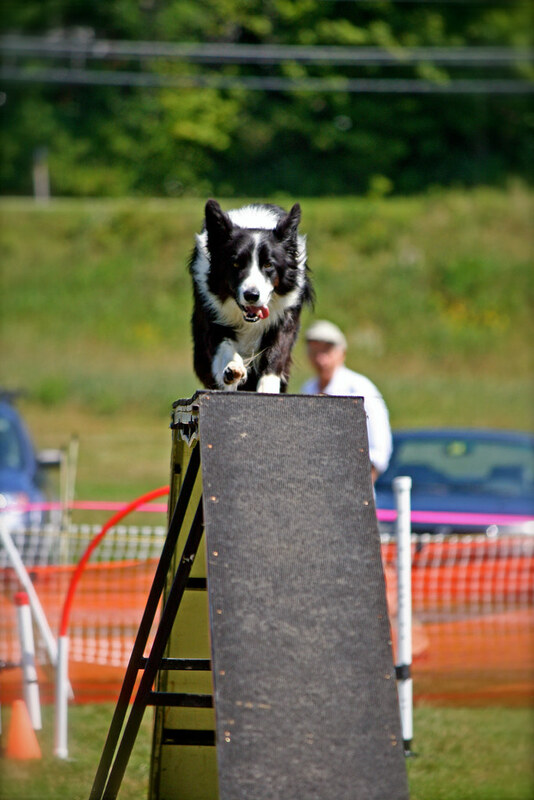 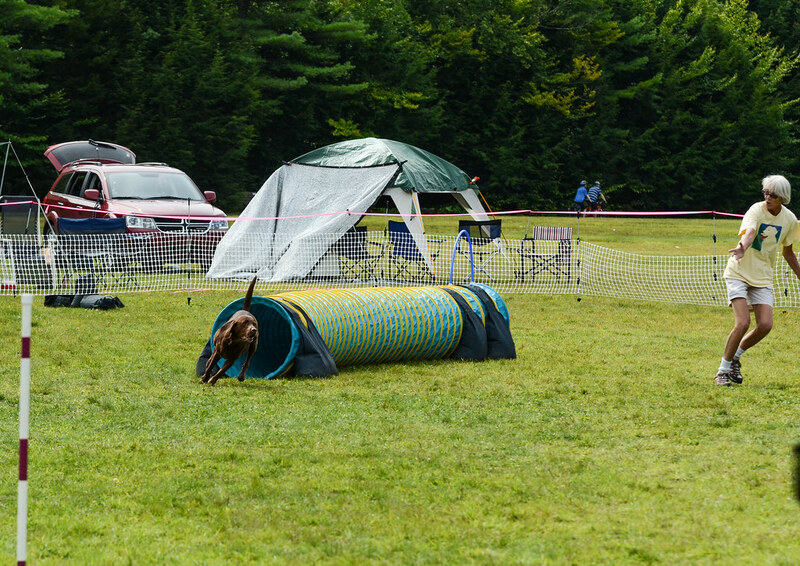 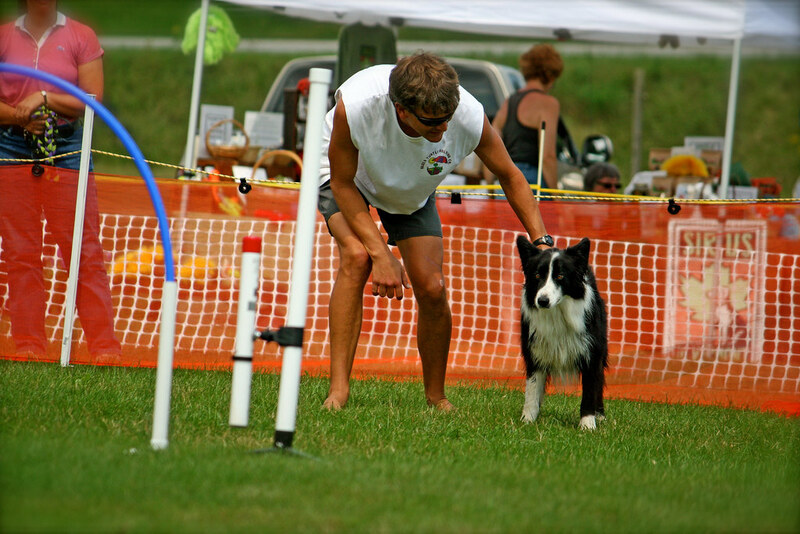 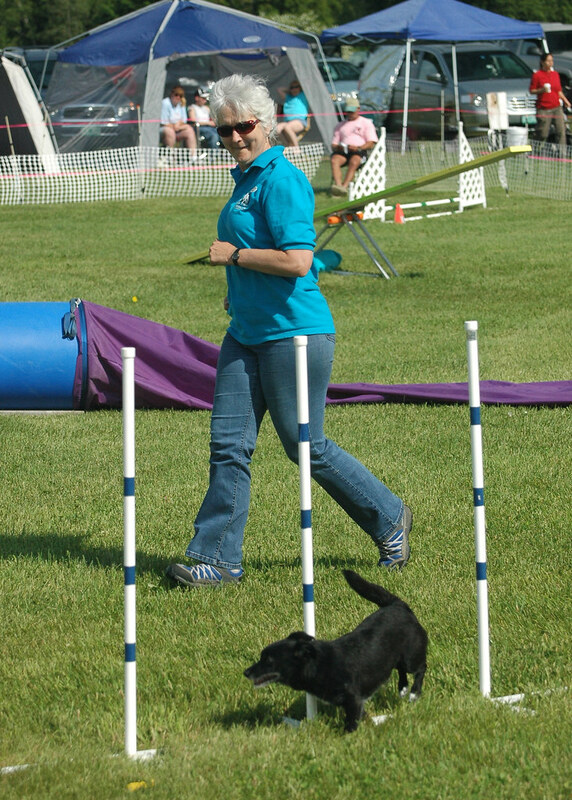 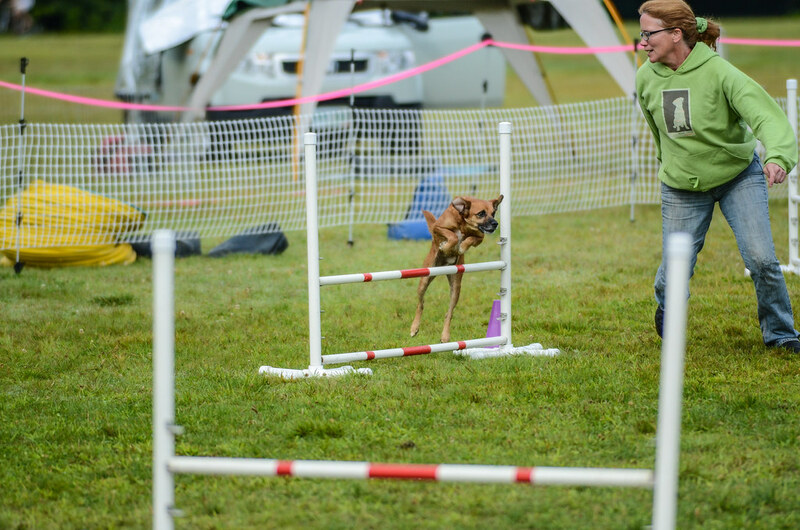 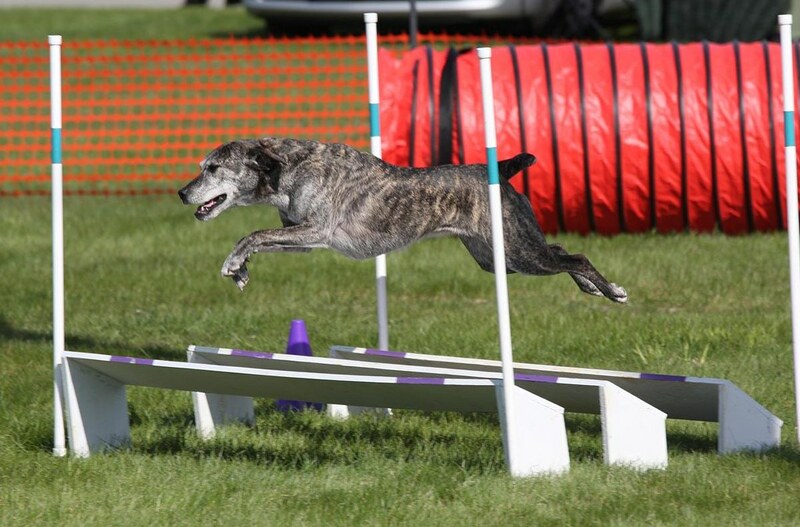 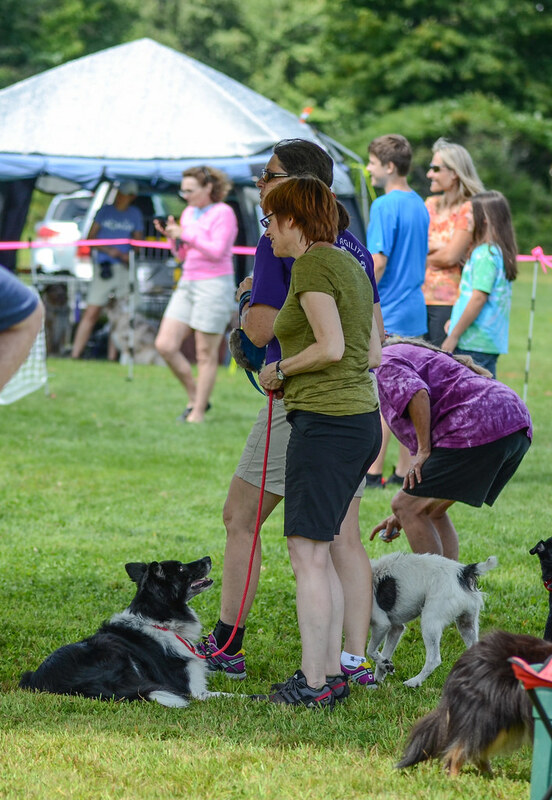 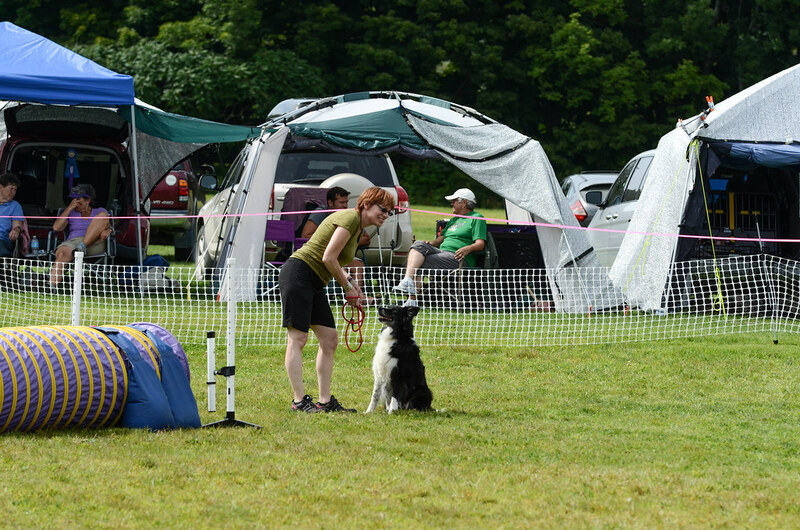 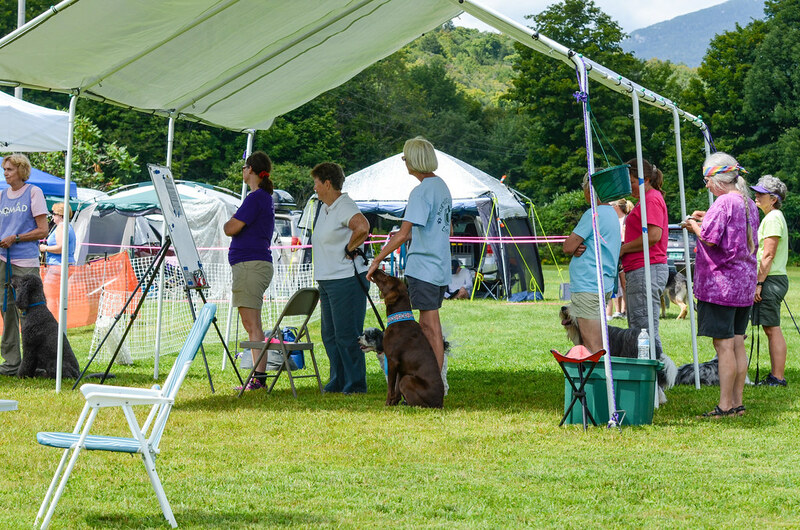 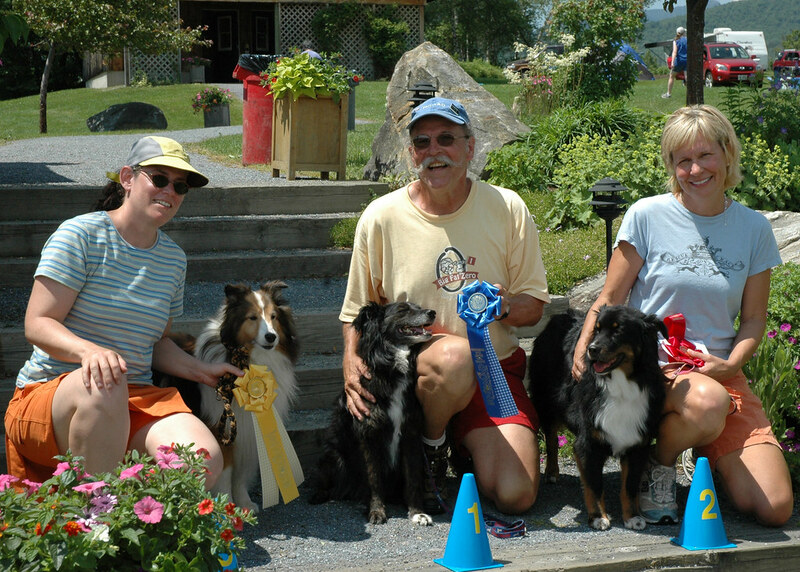 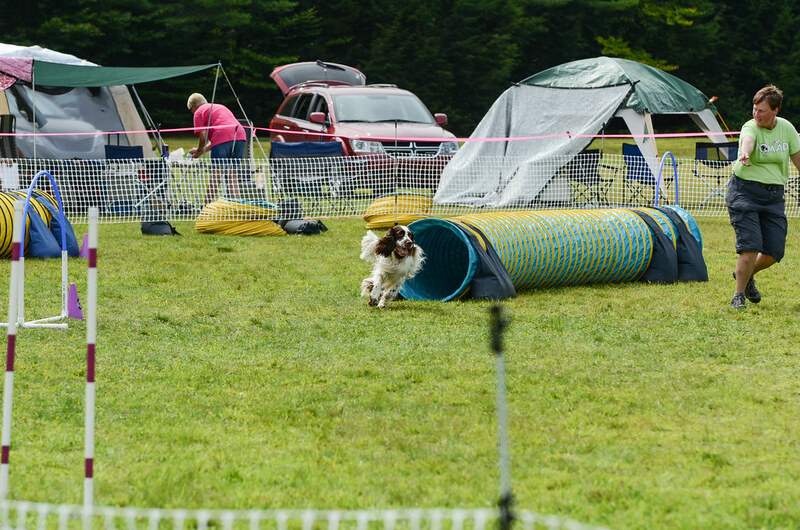 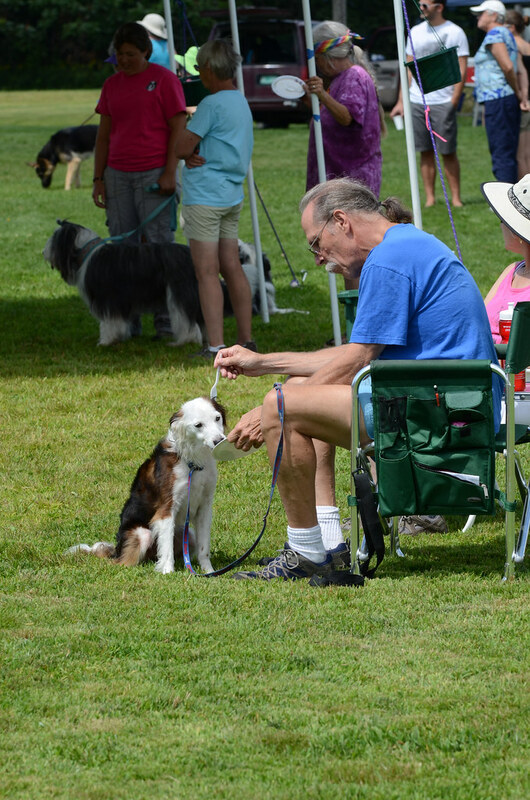 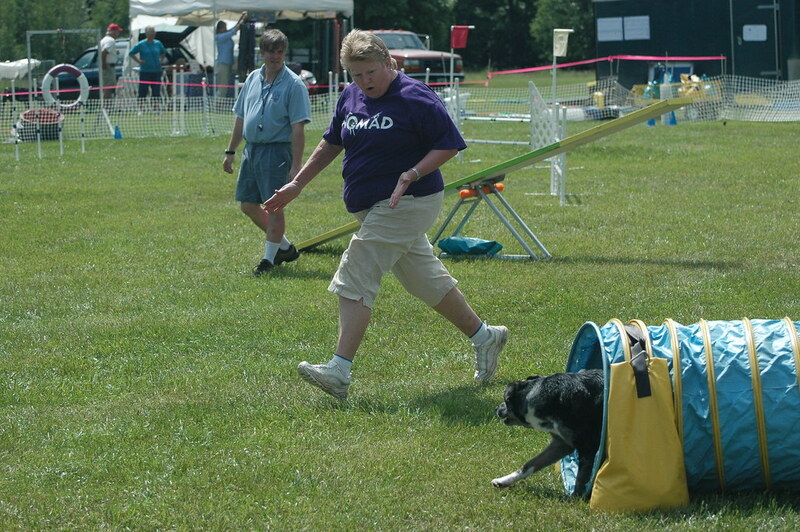 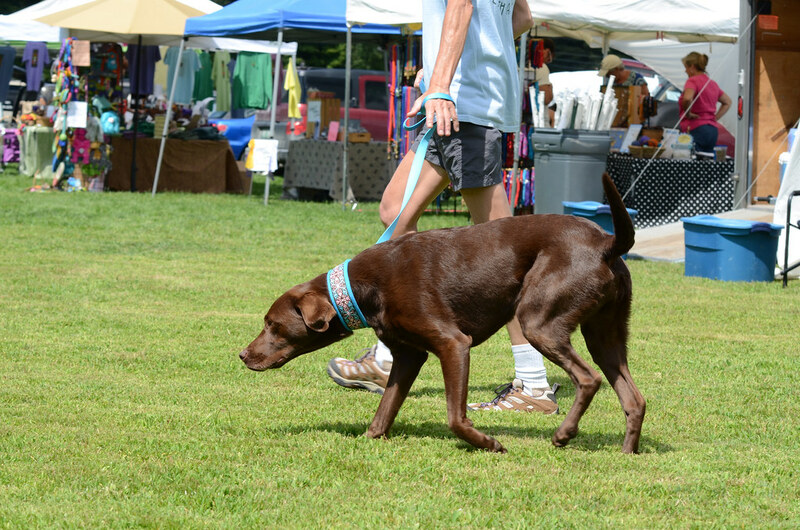 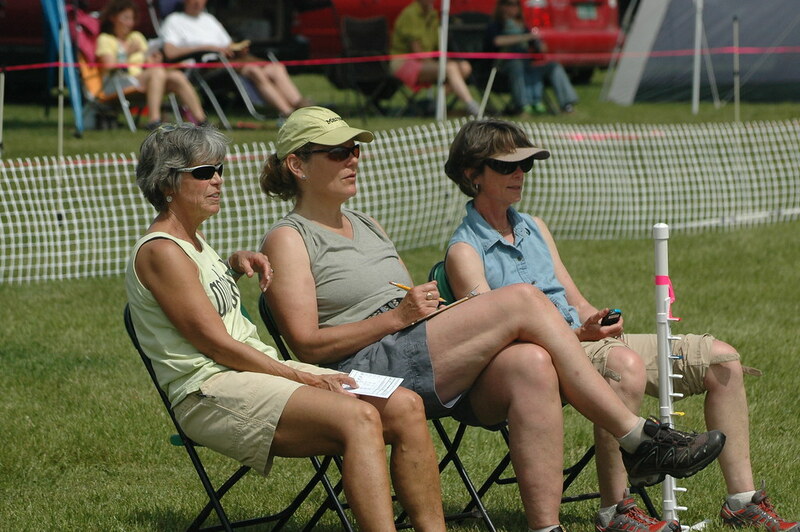 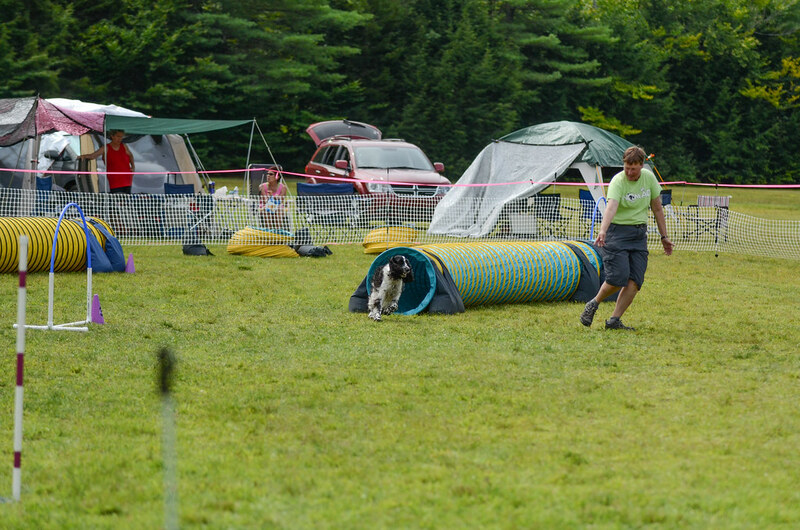 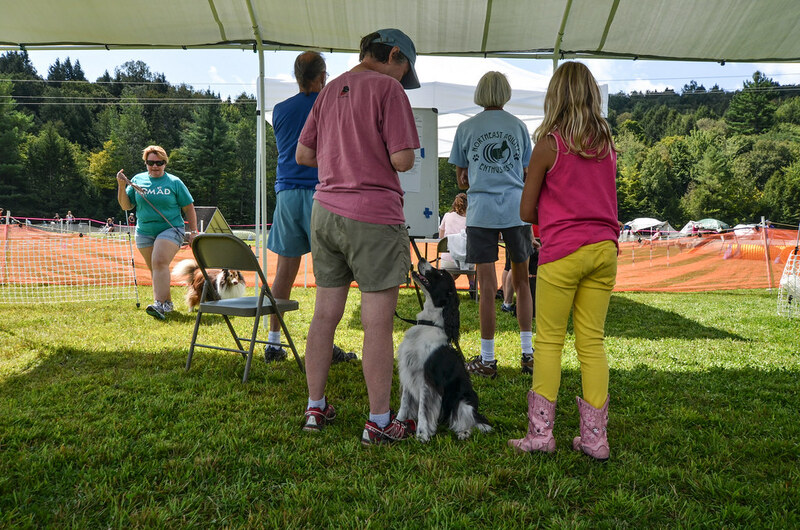 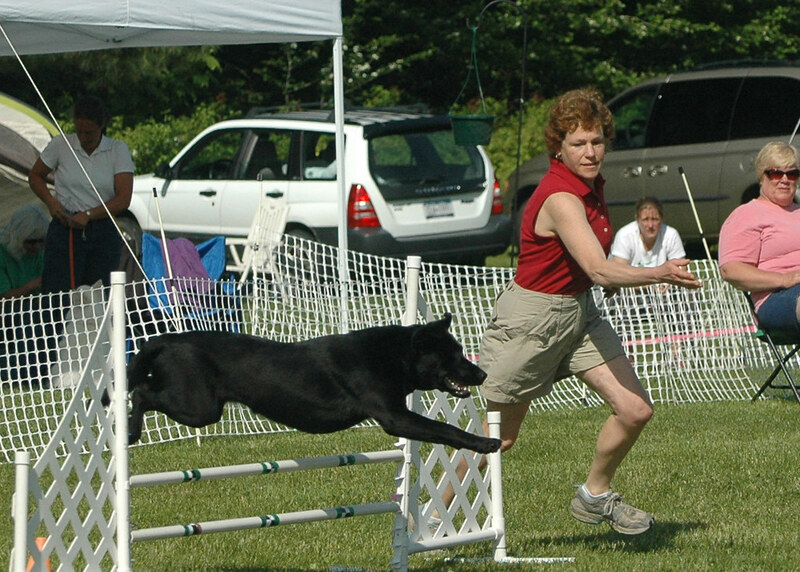 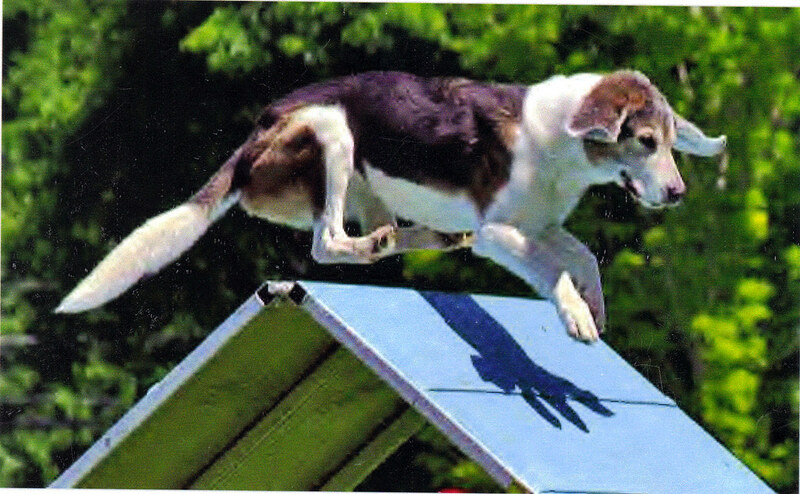 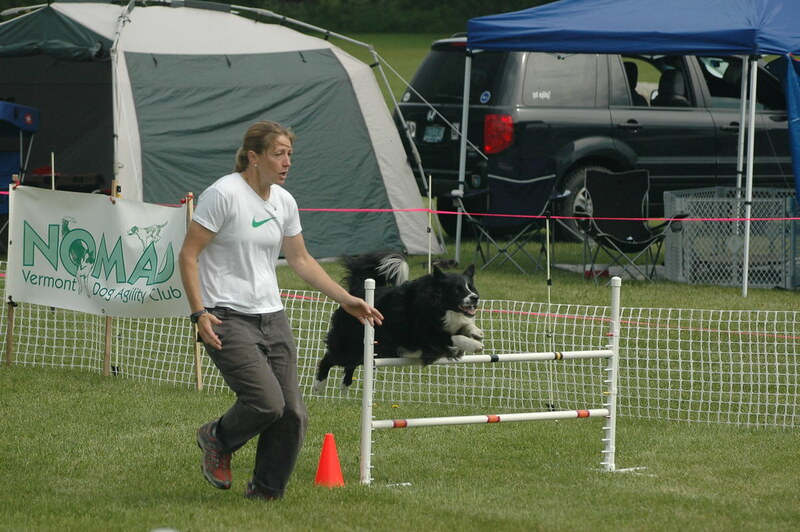 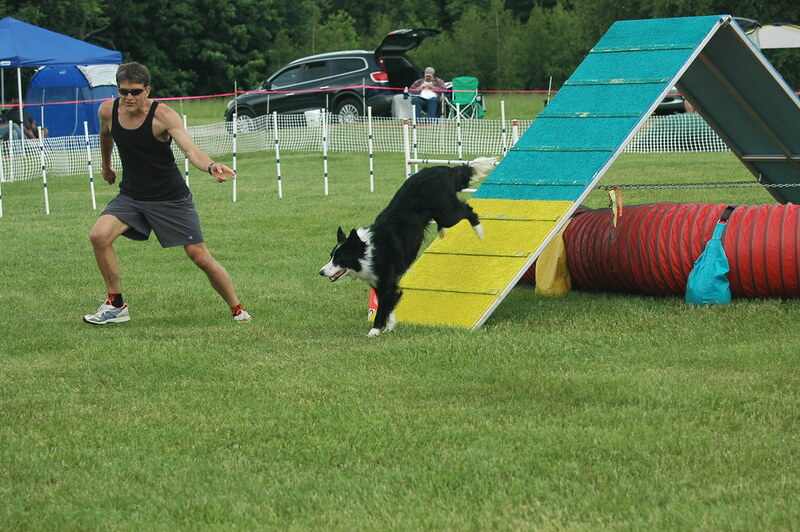 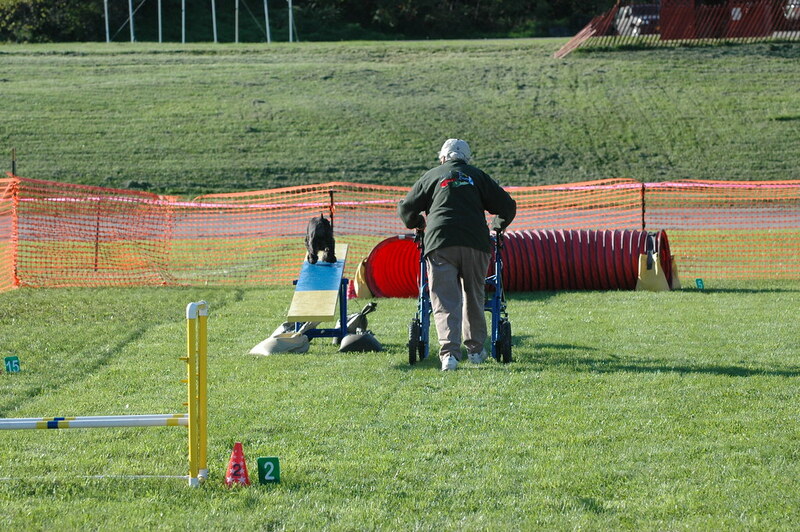 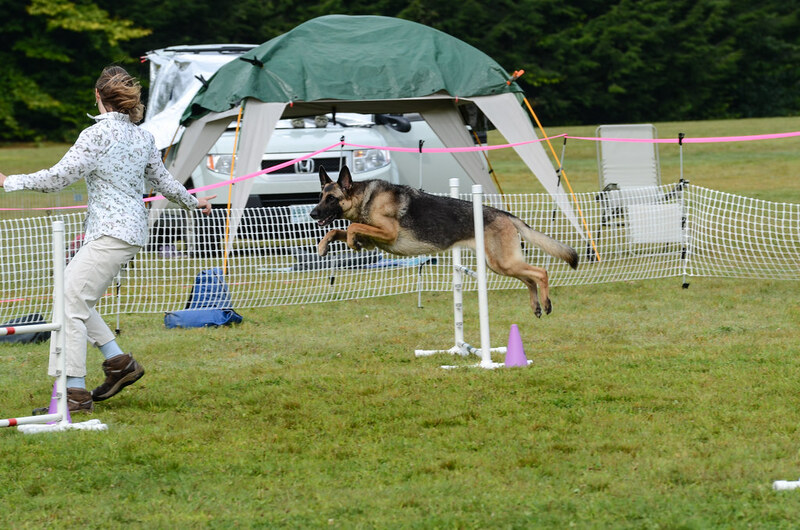 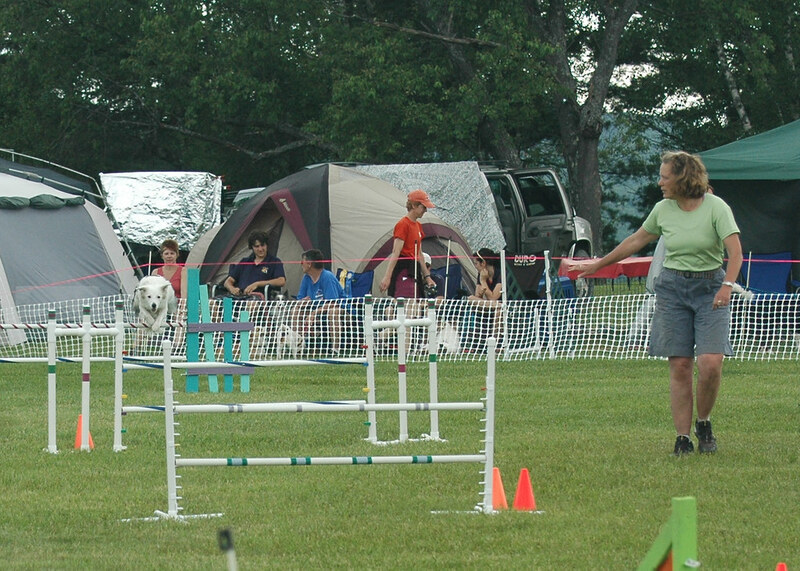 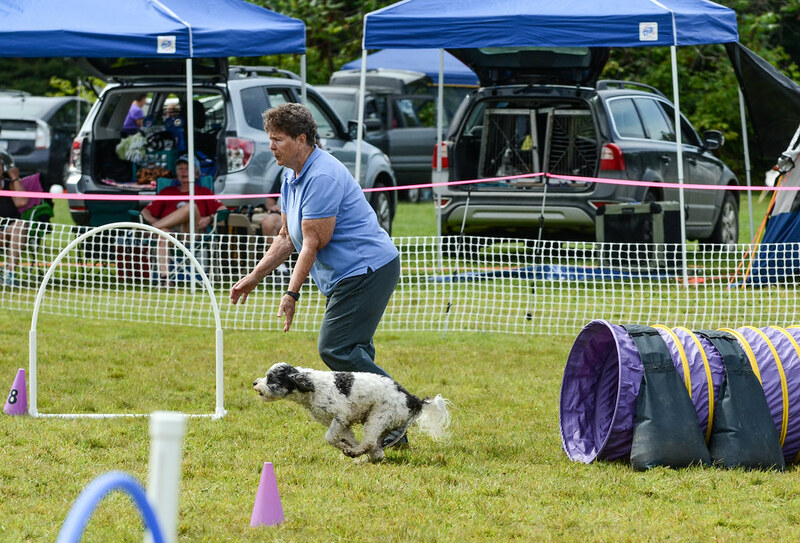 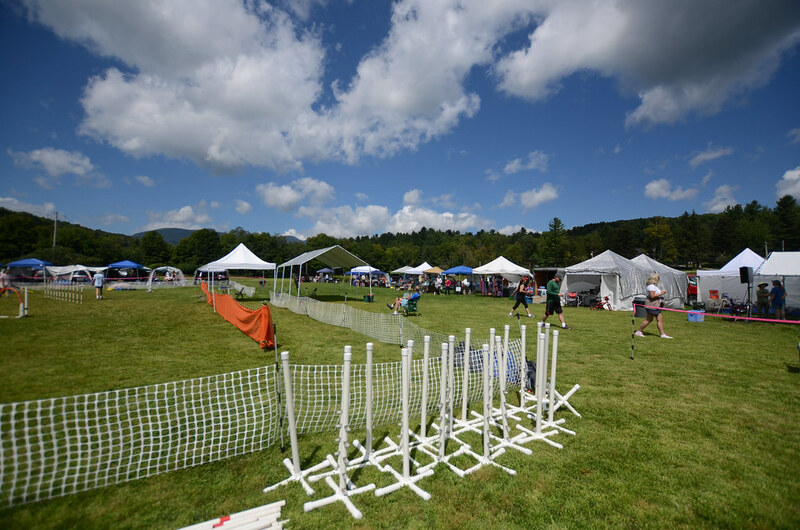 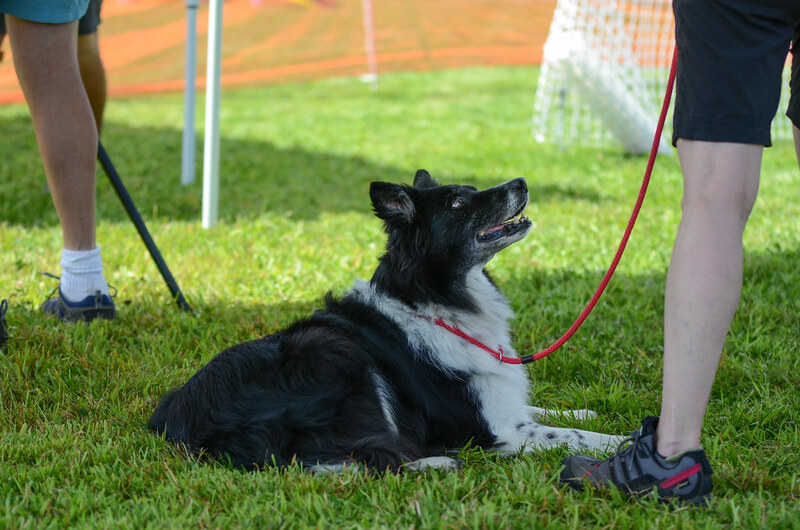 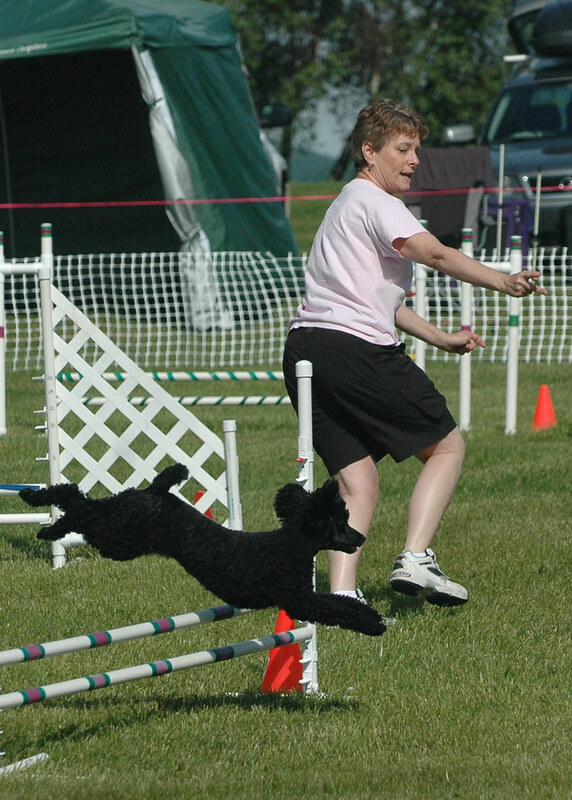 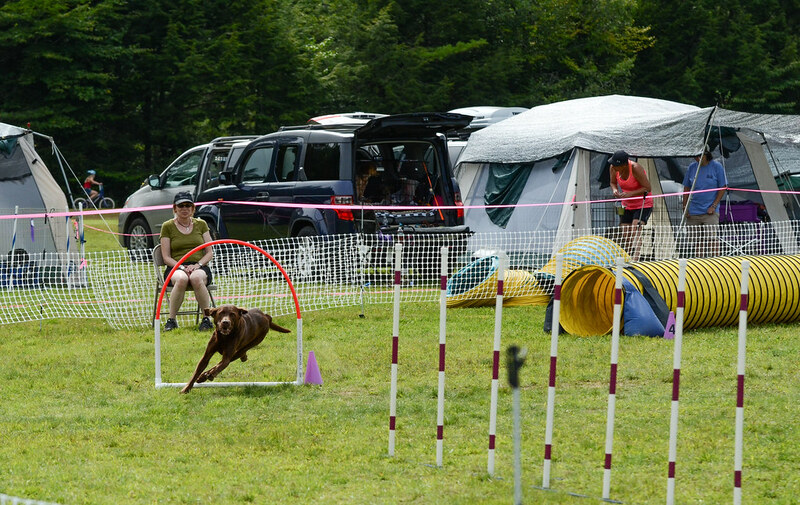 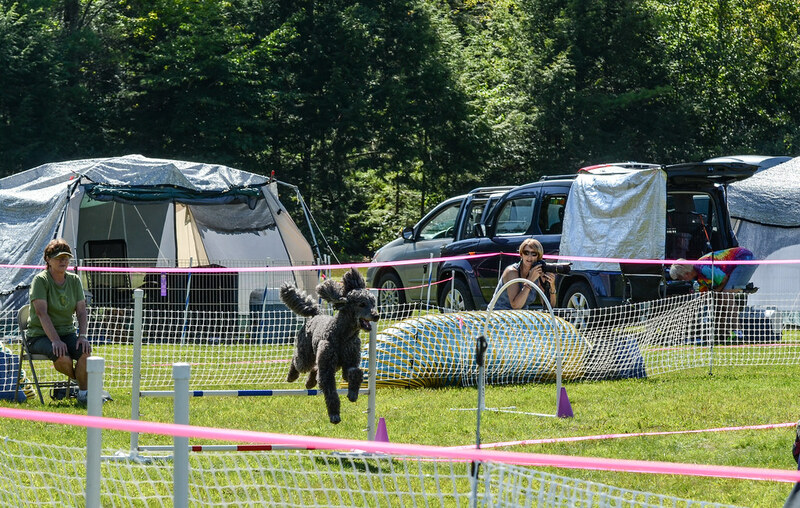 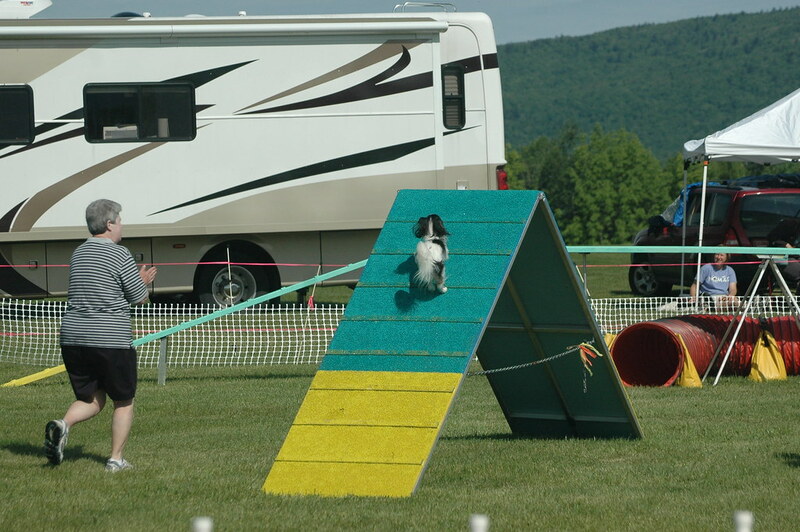 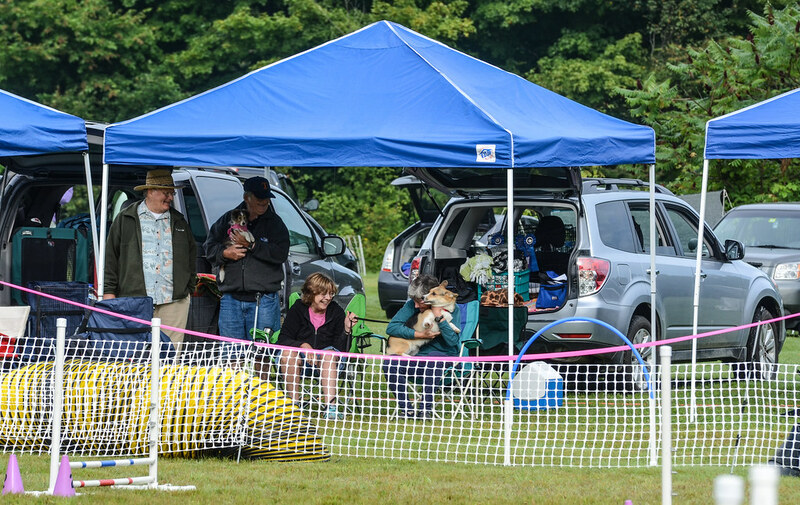 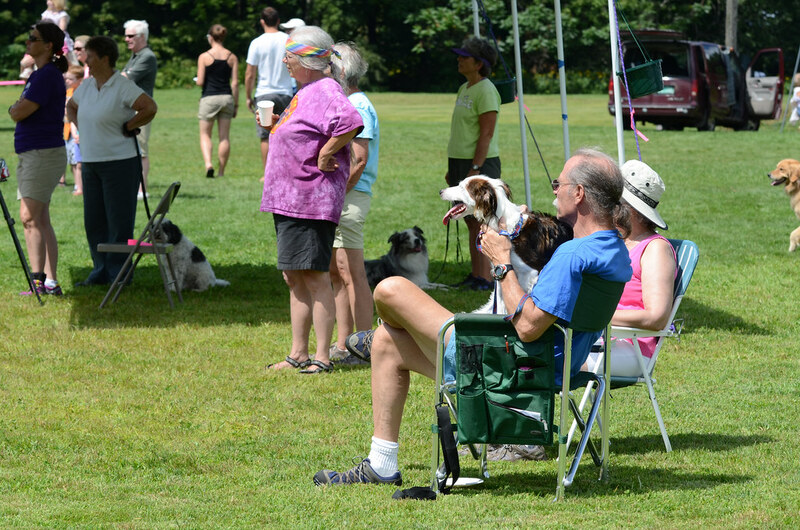 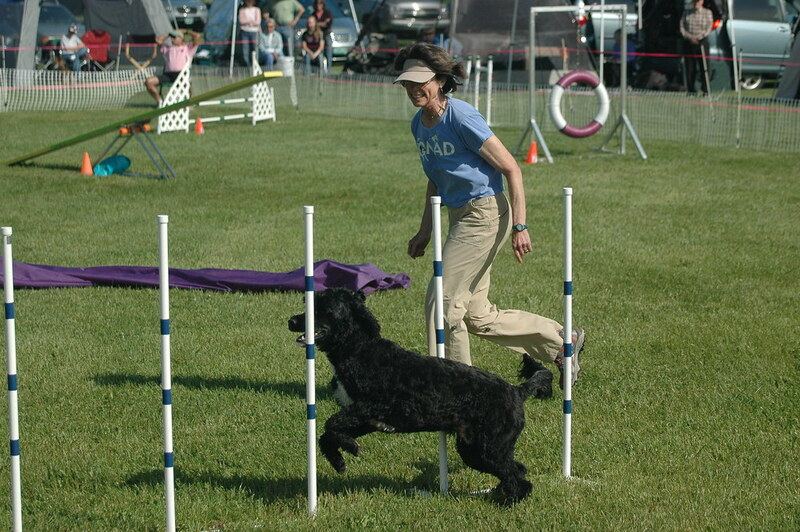 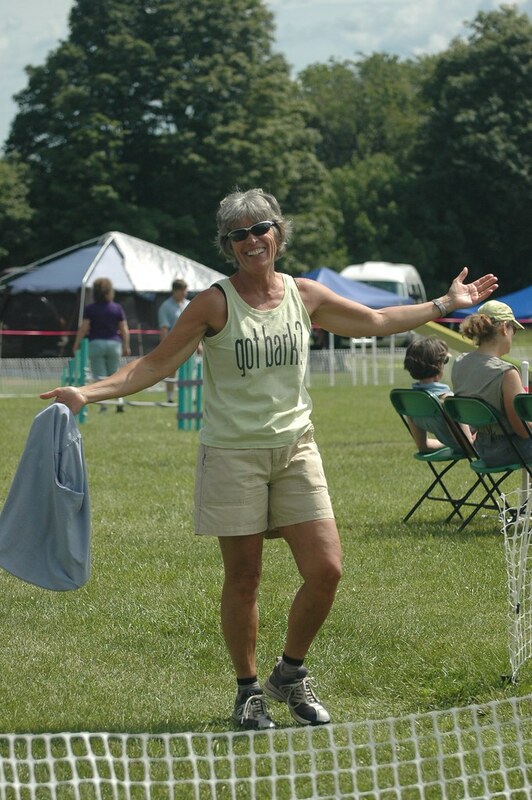 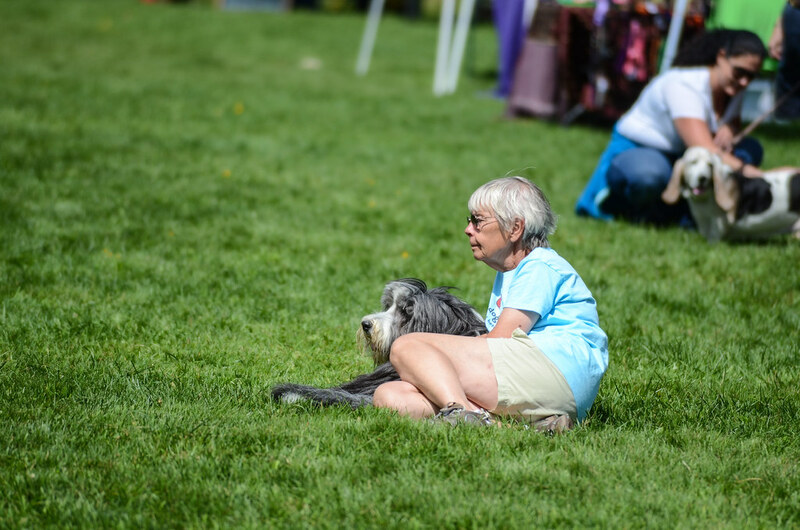 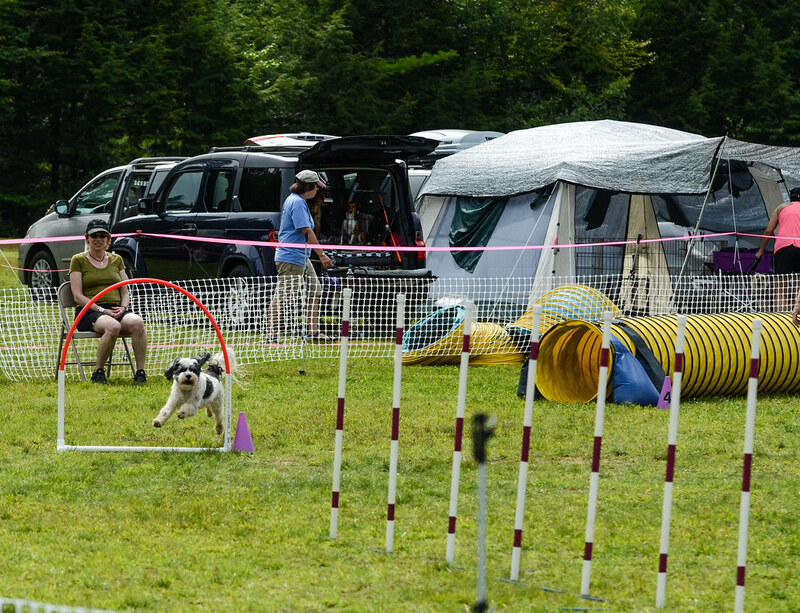 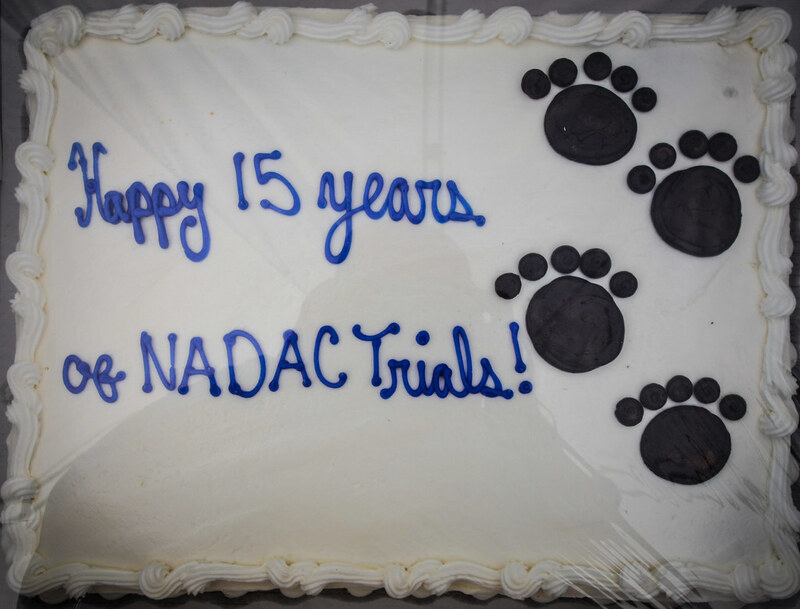 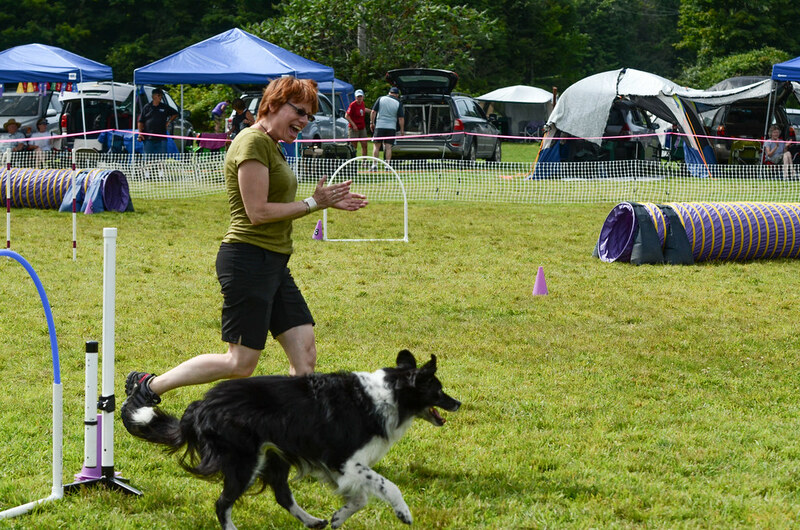 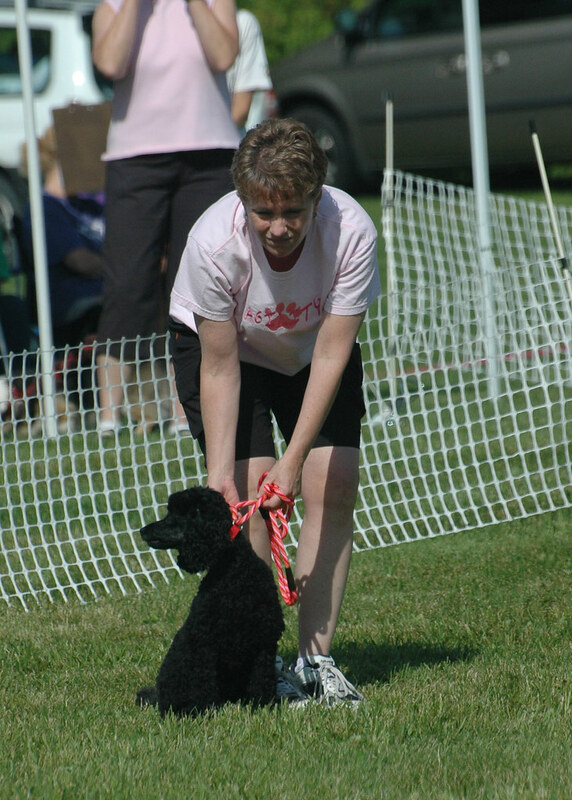 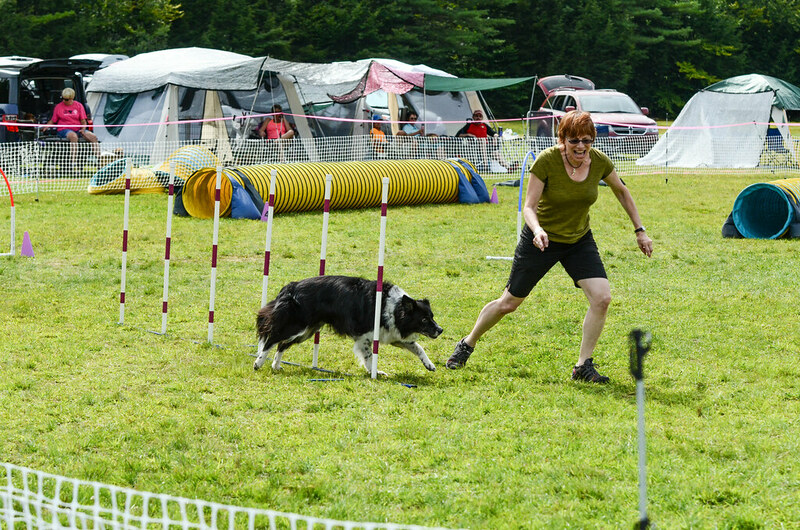 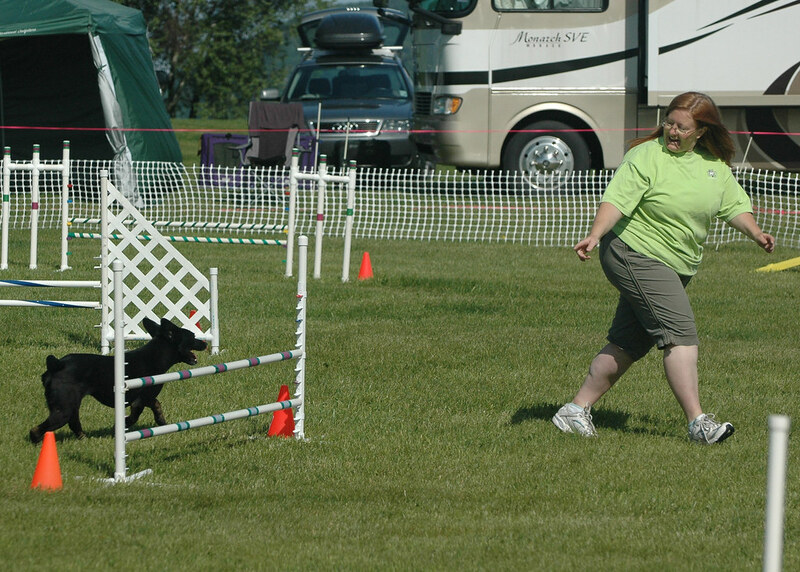 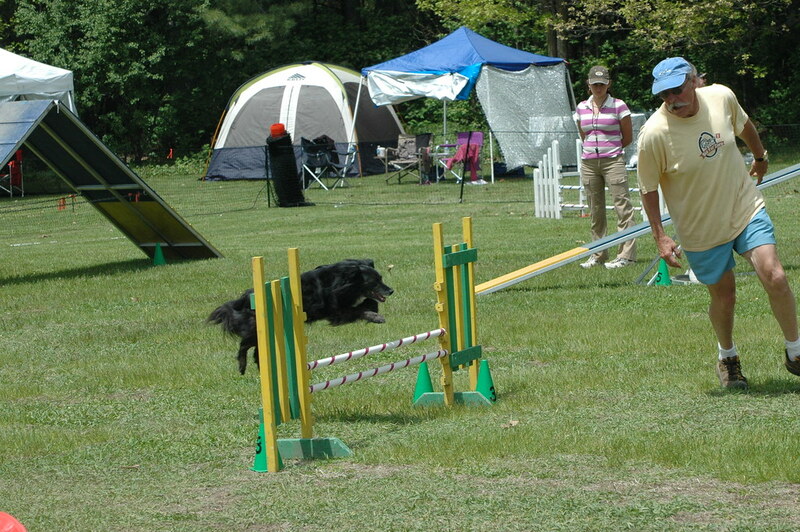 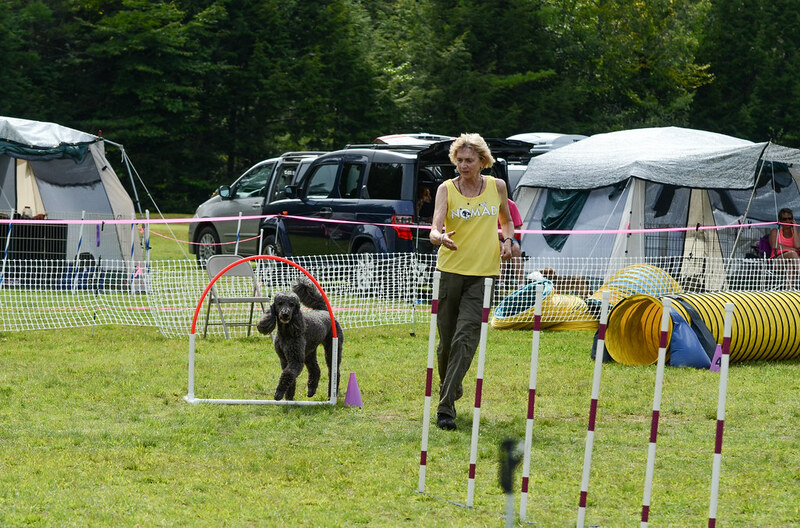 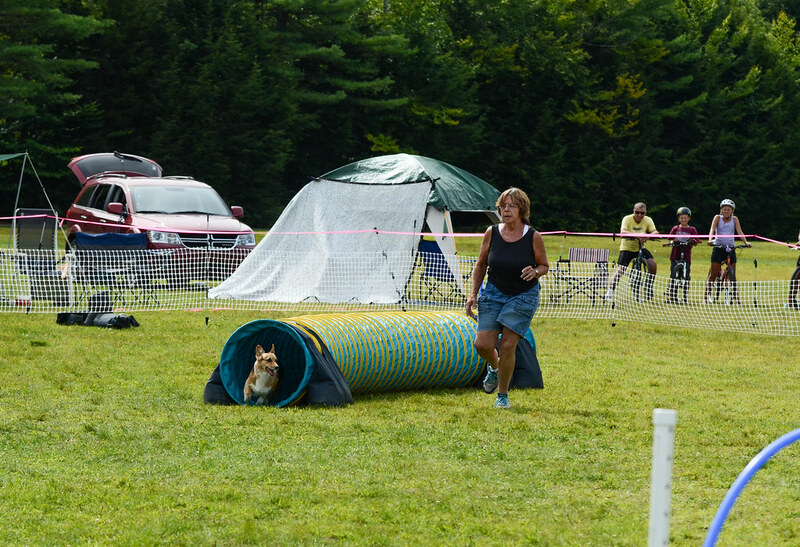 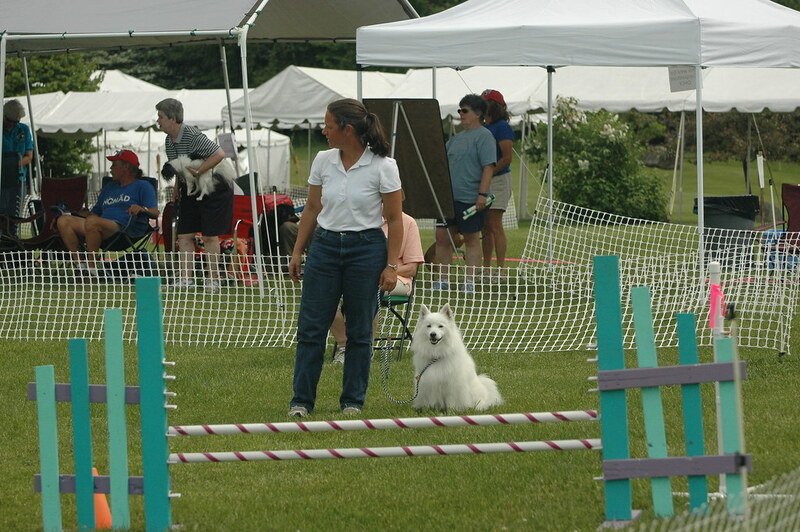 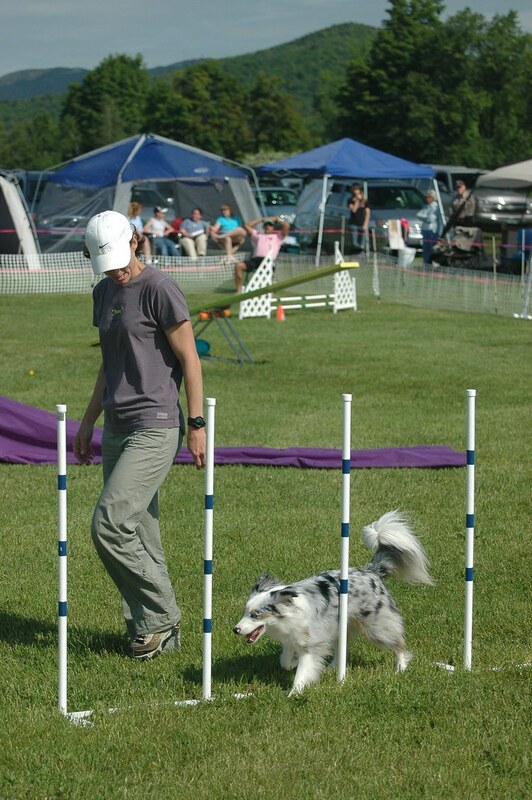 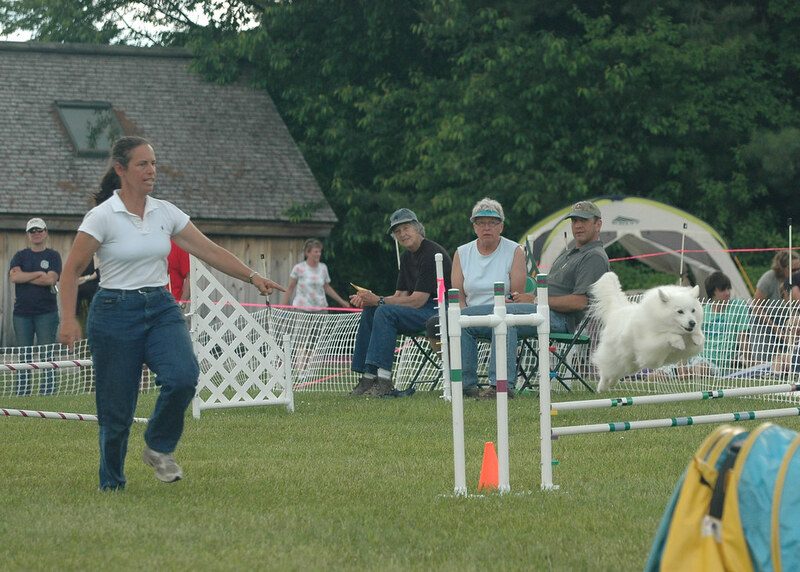 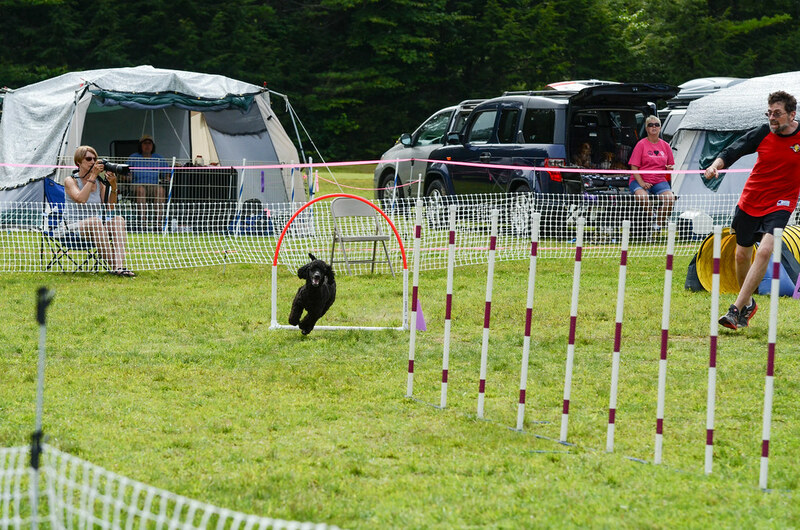 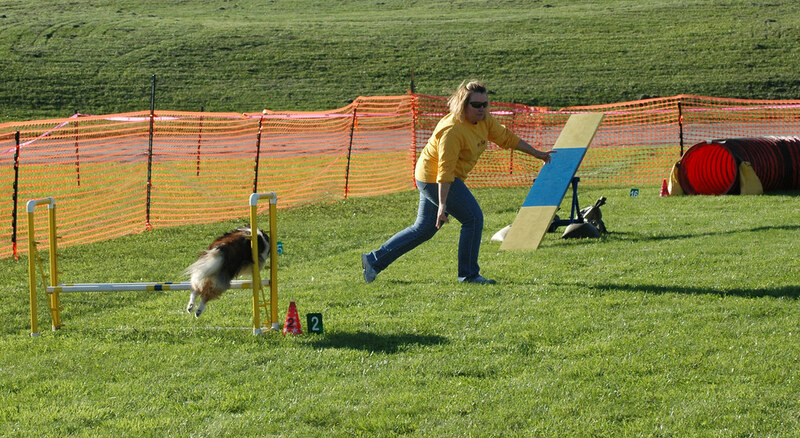 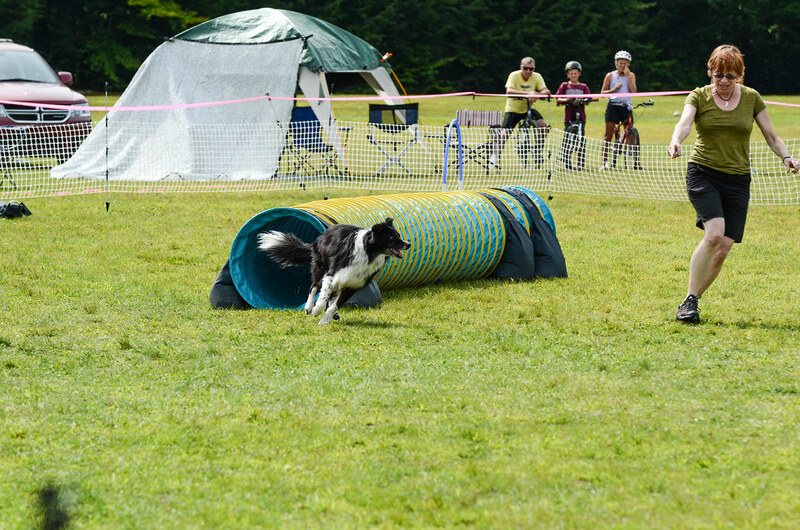 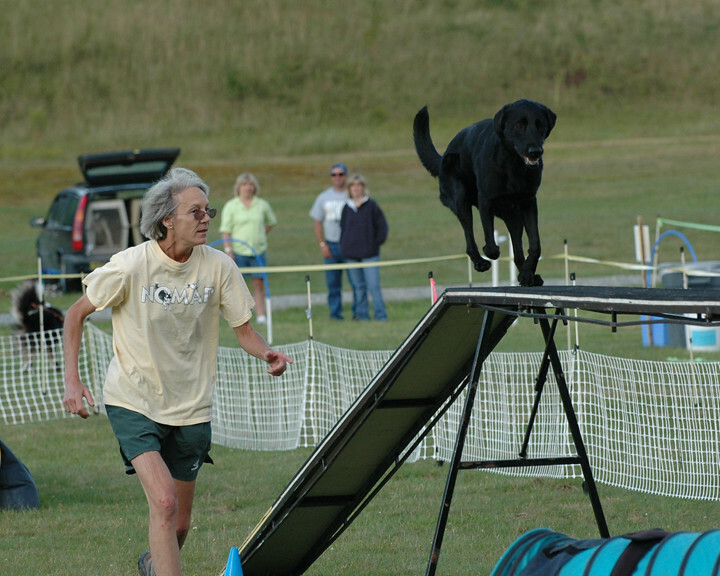 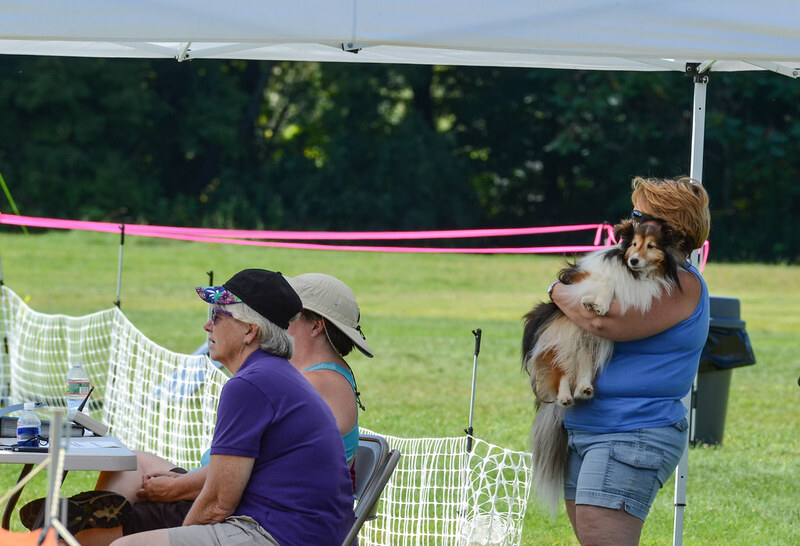 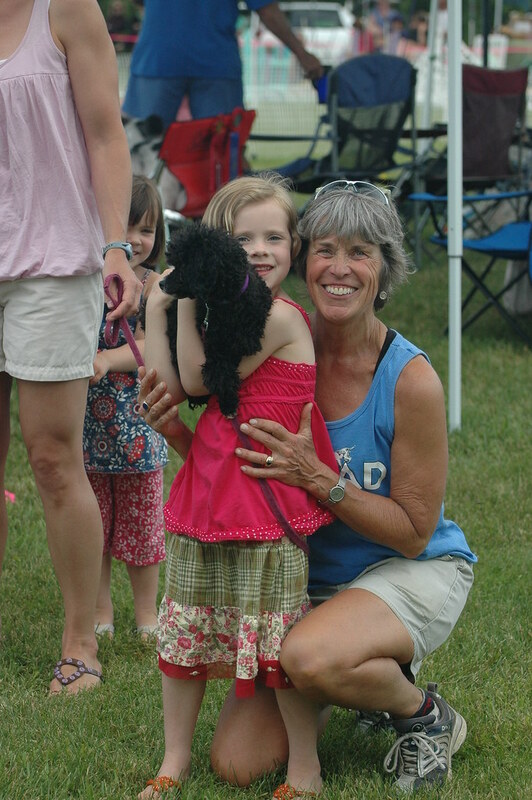 Northern Magic Agility Dogs — NOMAD — is a club of dog agility enthusiasts who have come together to play and build lasting relationships with their dogs and other “dog people.” We have about 60 human members and are based in northern Vermont. 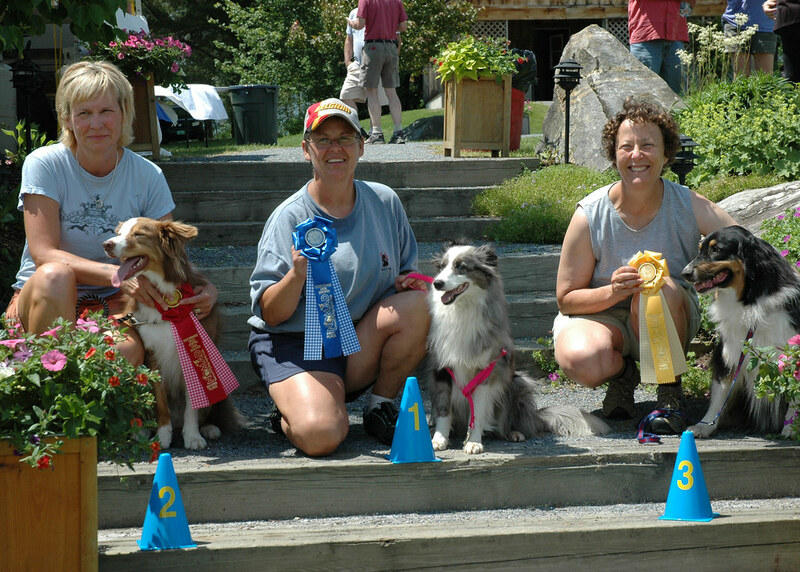 Our members live as far afield as Canada, Northern New York State, New Hampshire, and North Carolina. 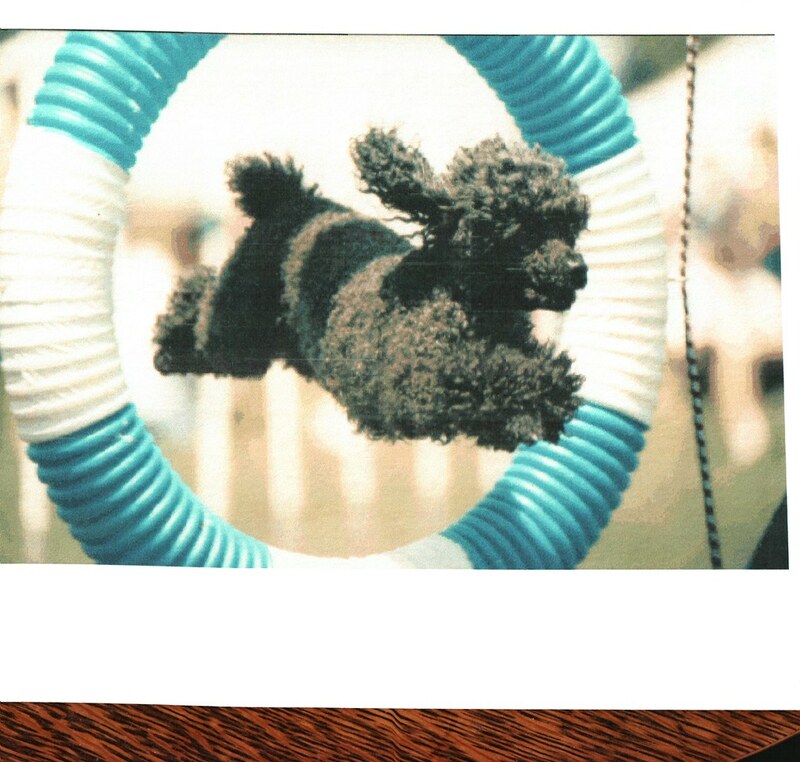 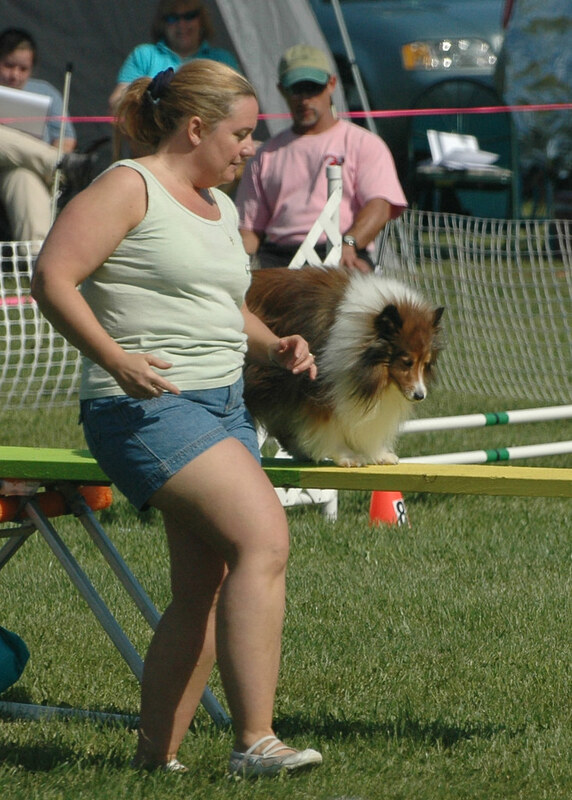 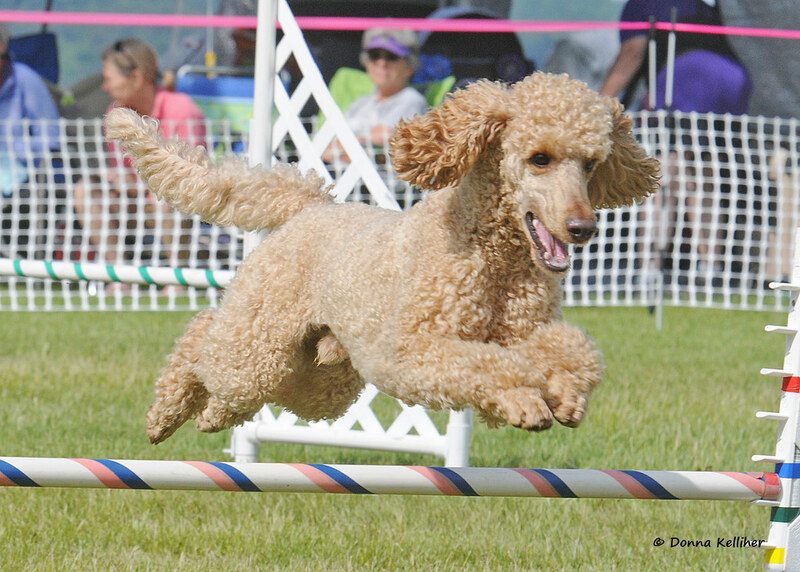 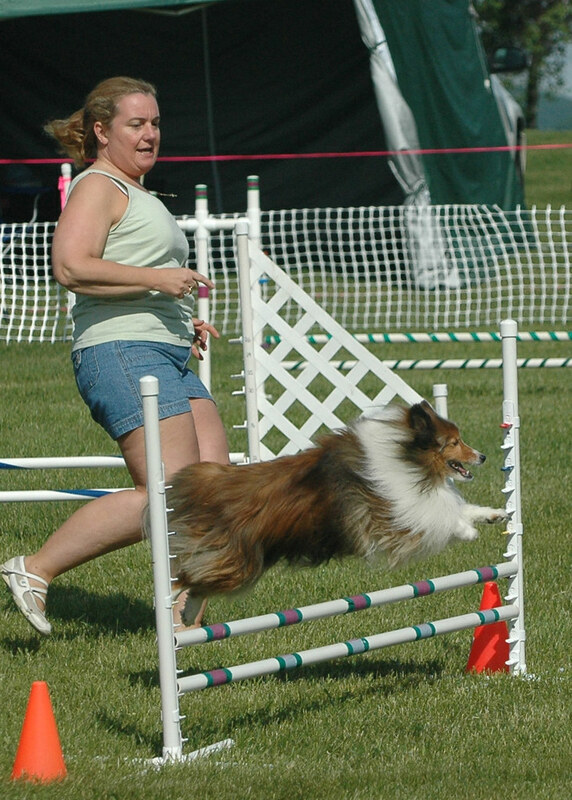 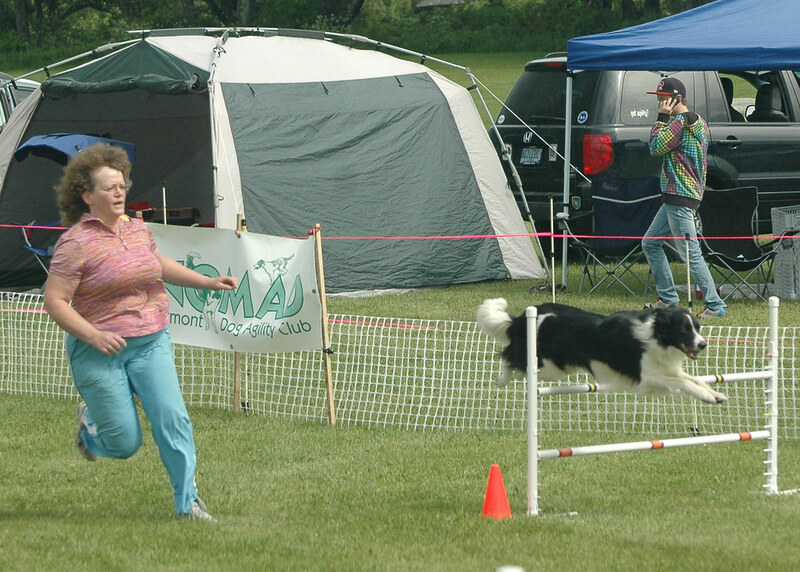 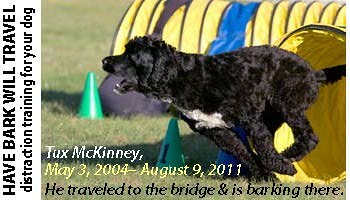 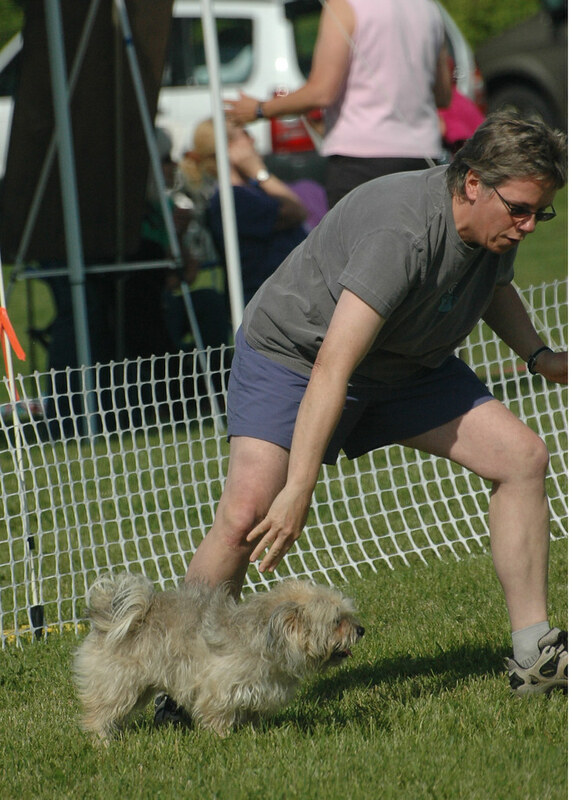 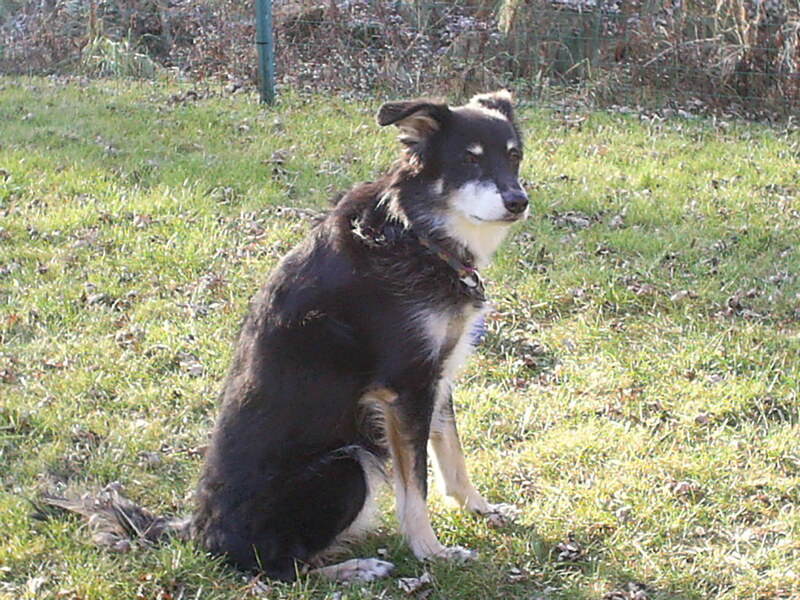 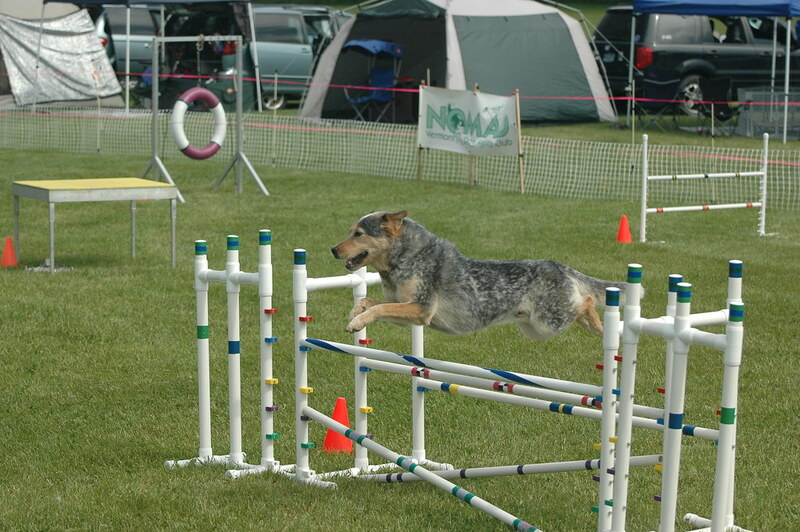 Almost all dogs of all sizes, shapes, and ages, in good health, can do agility at some level. 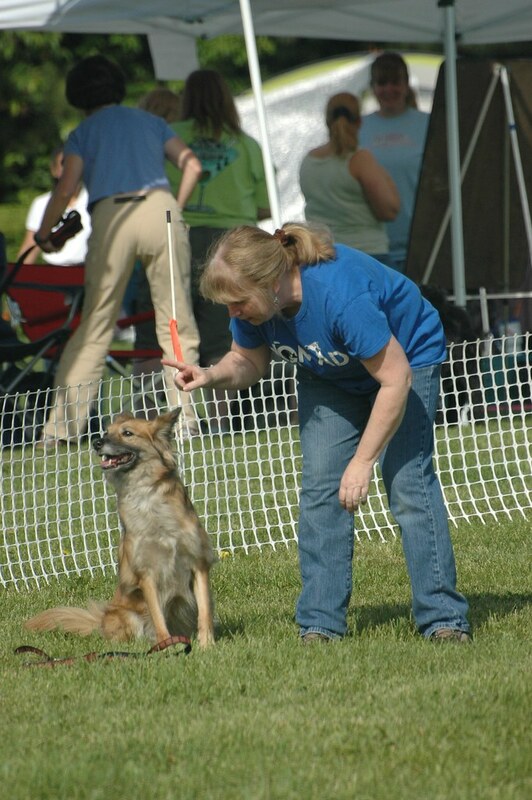 Same for the handlers. 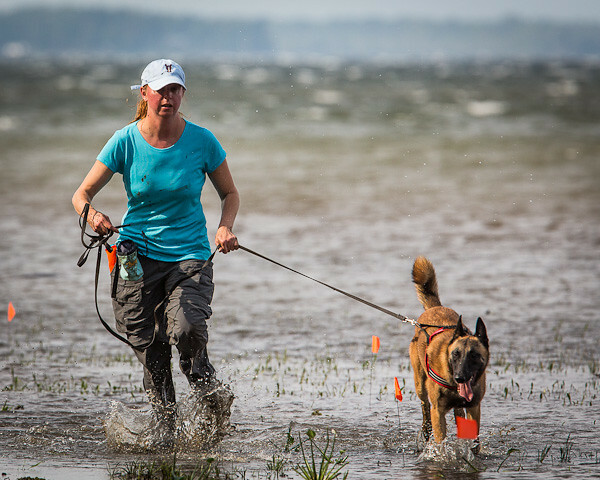 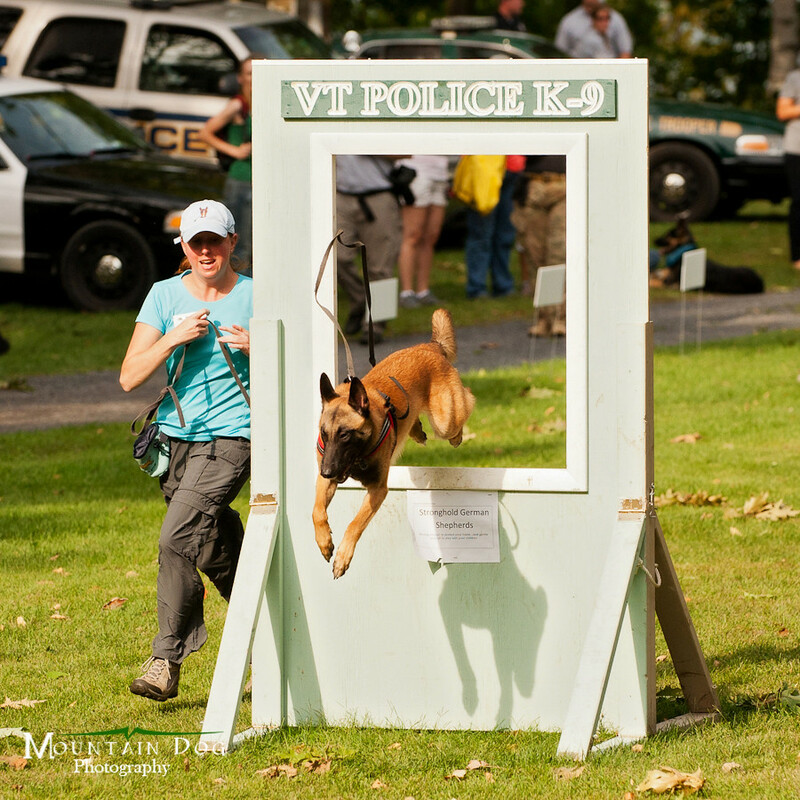 It’s a great way to stimulate, exercise, and play with your dog, and the handlers get a good workout, too! 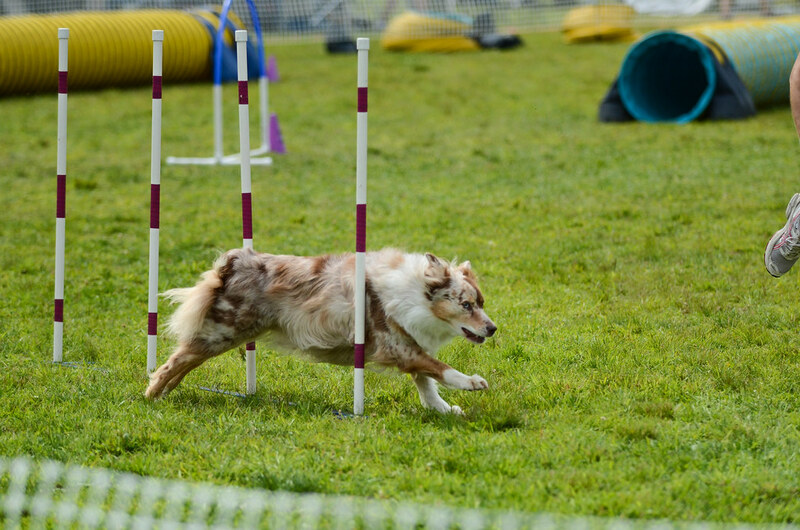 If you are interested in trying agility, you’ll need guidance right from the get-go. 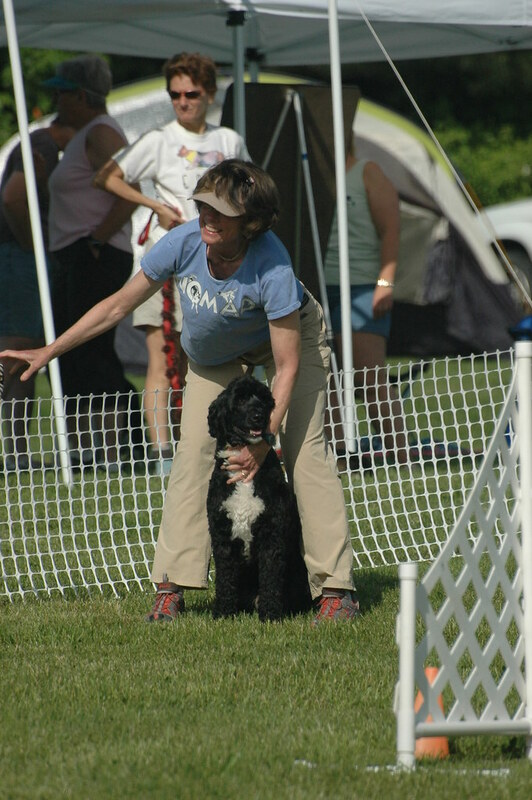 It’s extremely helpful to have basic obedience skills, including a solid sit, down, come, and stay. 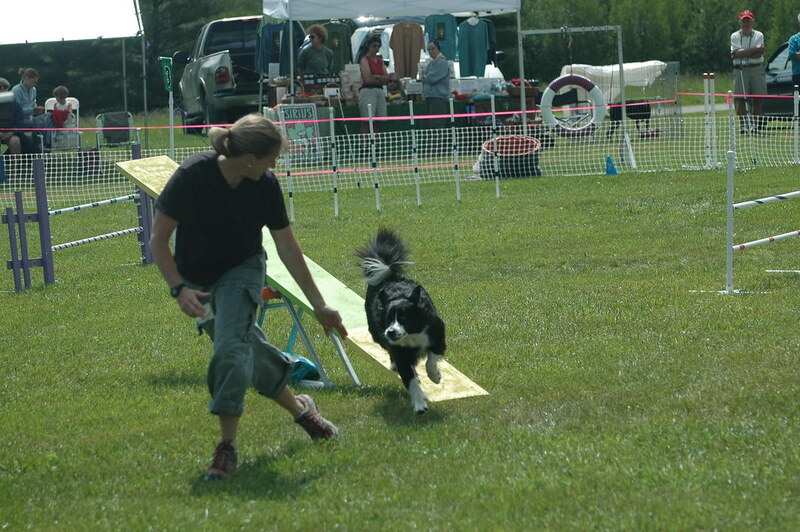 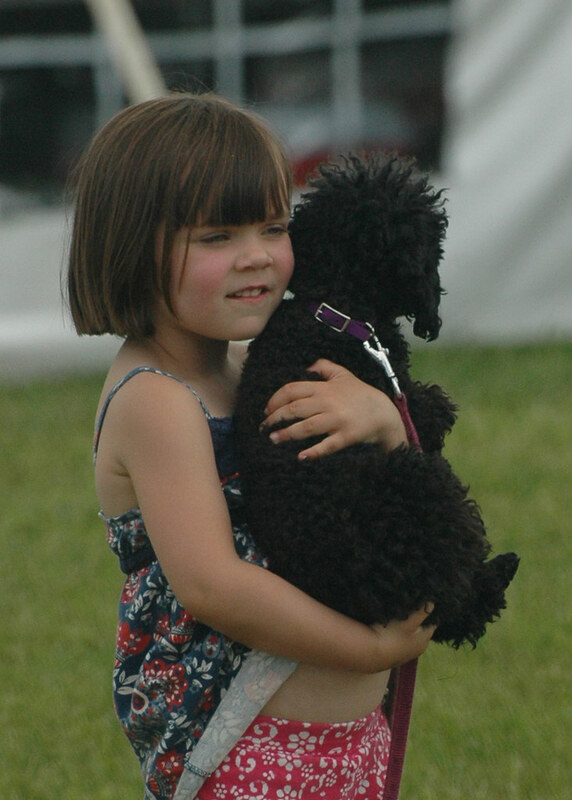 Your dog should be able to work off leash and show no aggression towards other dogs or people. 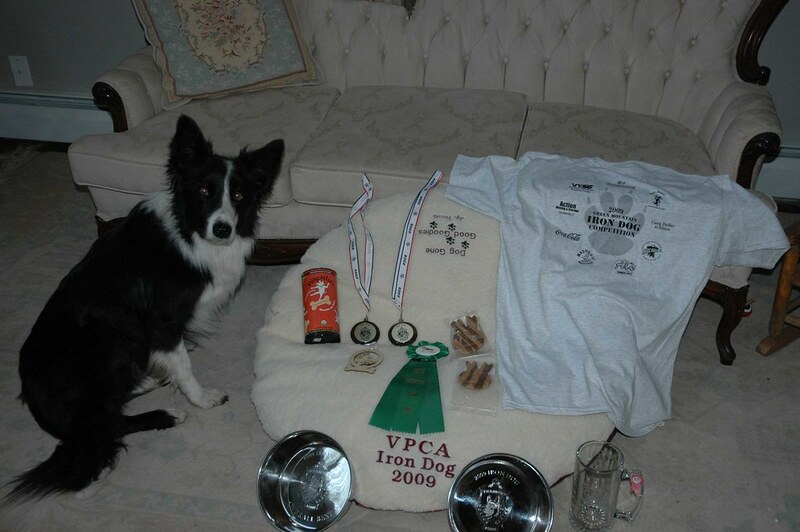 It helps to know what rewards (food treats, balls, toys) motivate your dog. 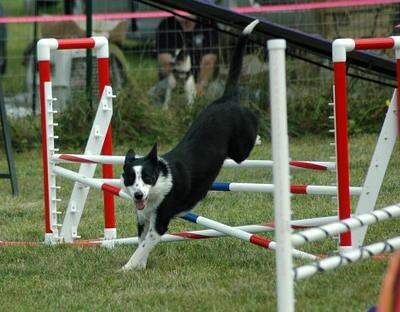 Your dog will not learn agility by watching other dogs. 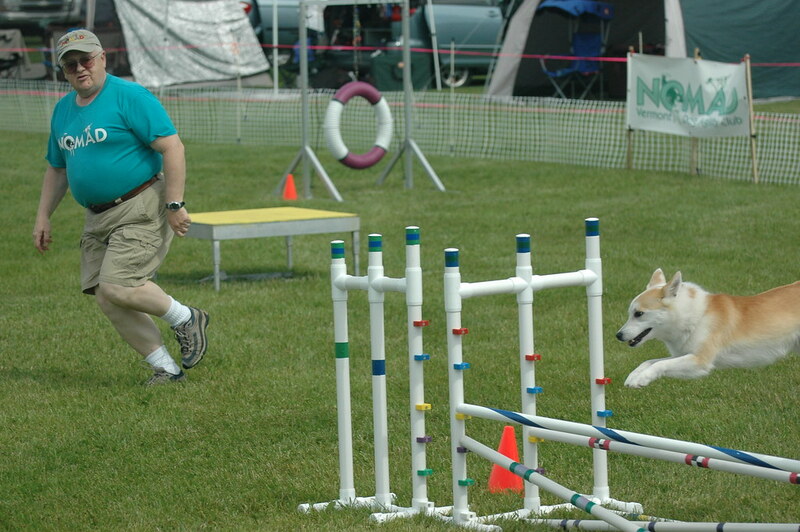 You need to teach him. 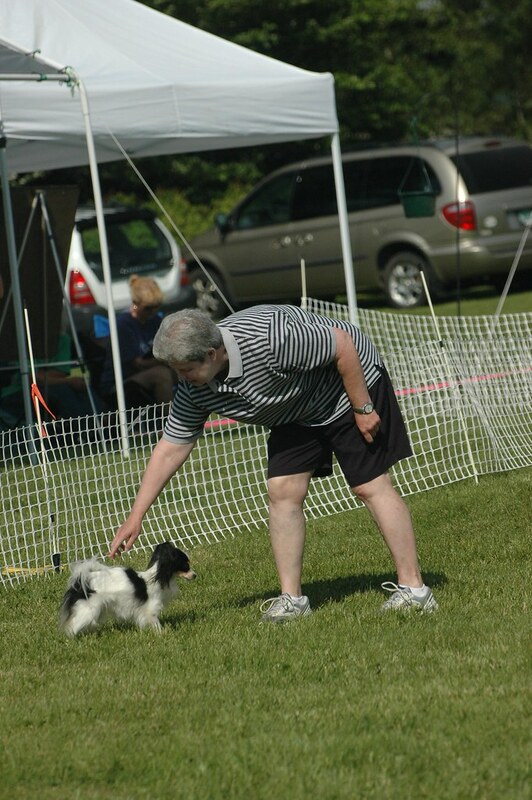 But first you need to learn HOW to teach him. 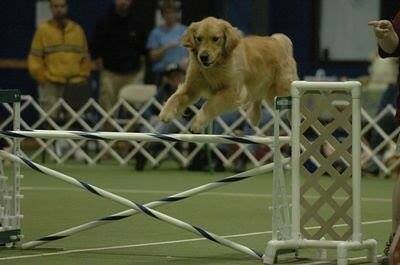 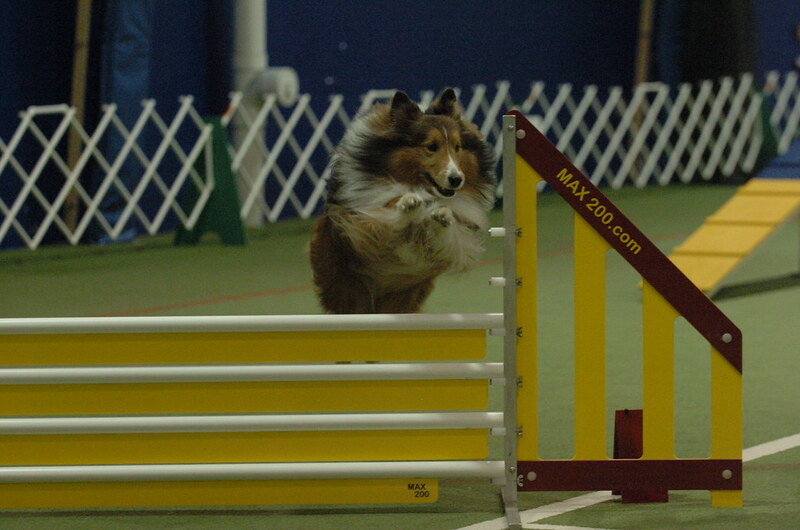 The best way to do that is to take agility lessons. 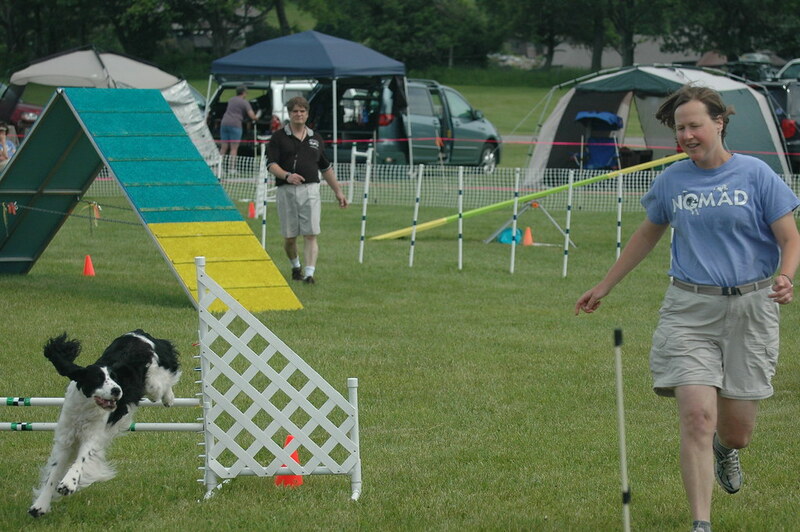 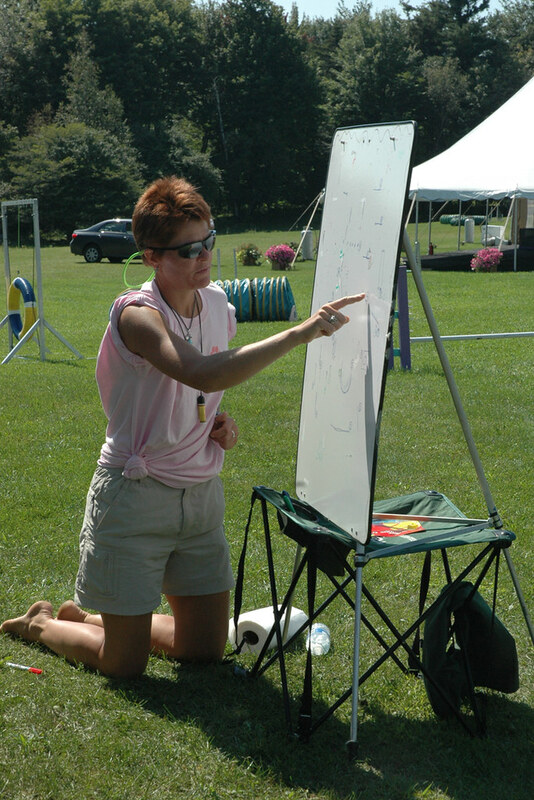 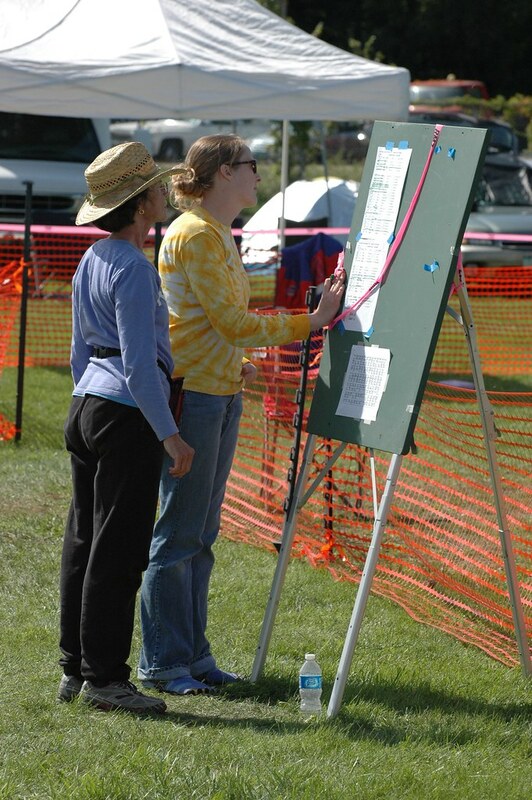 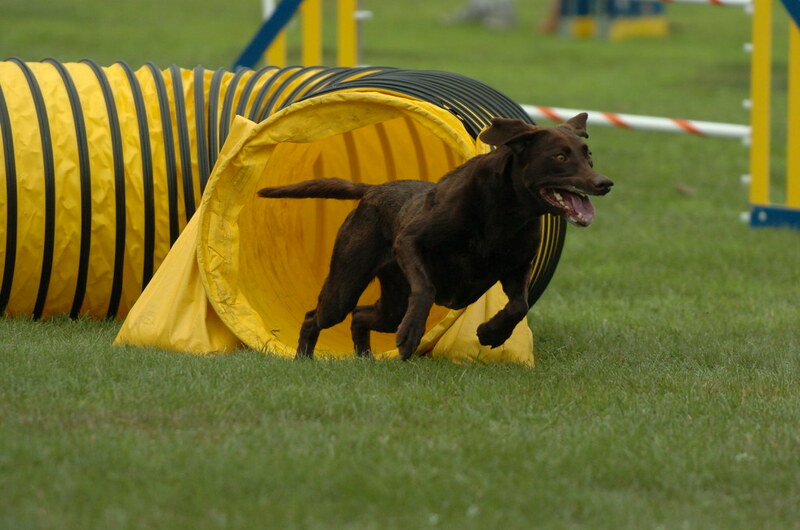 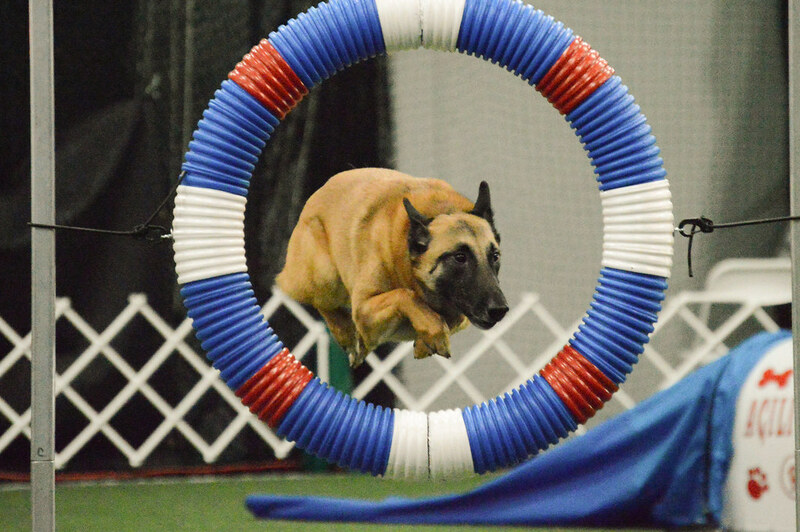 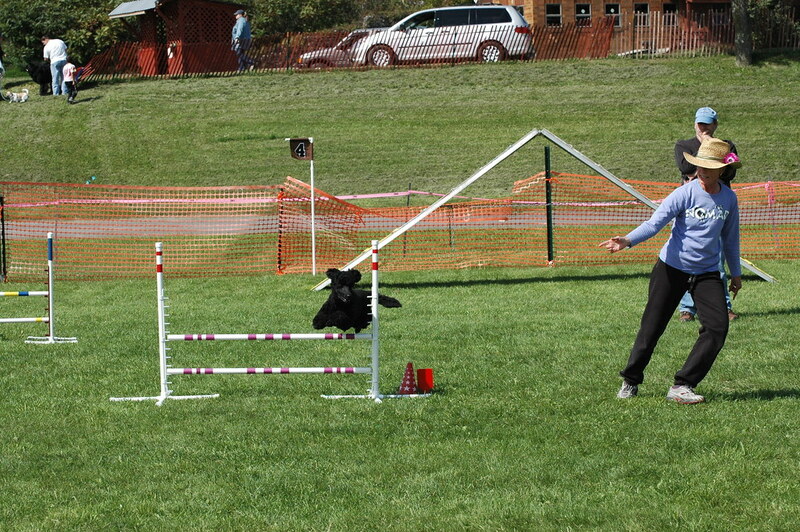 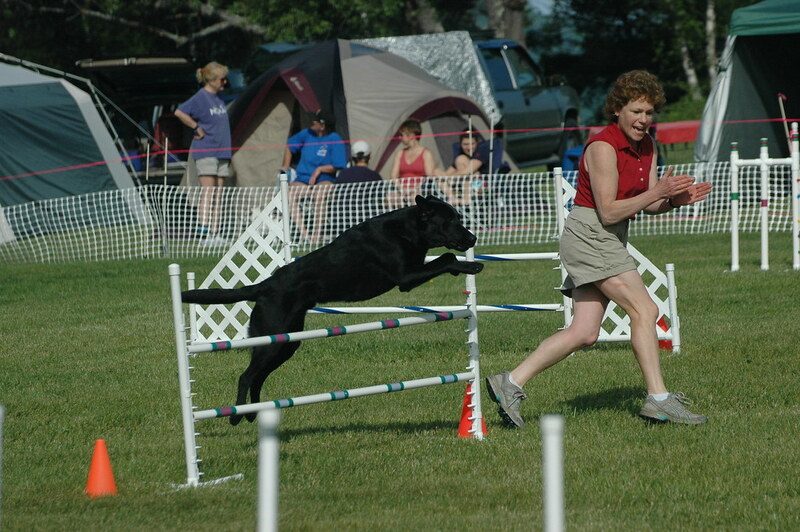 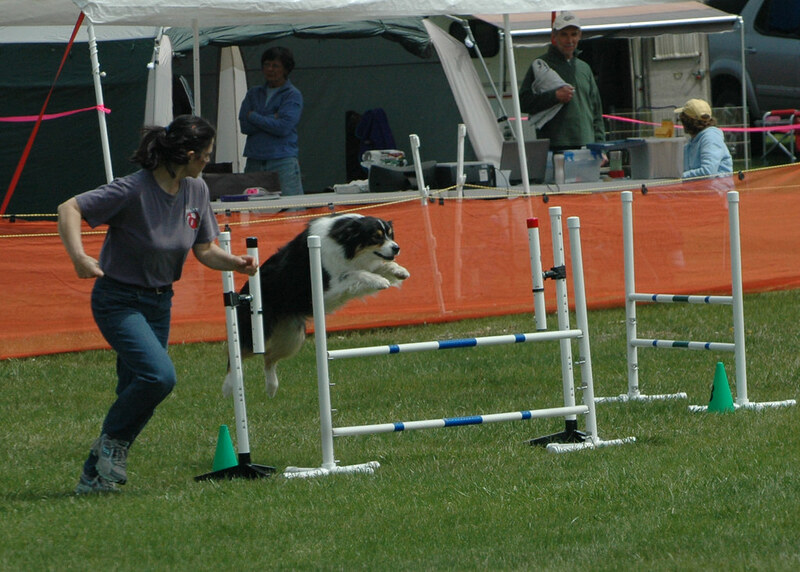 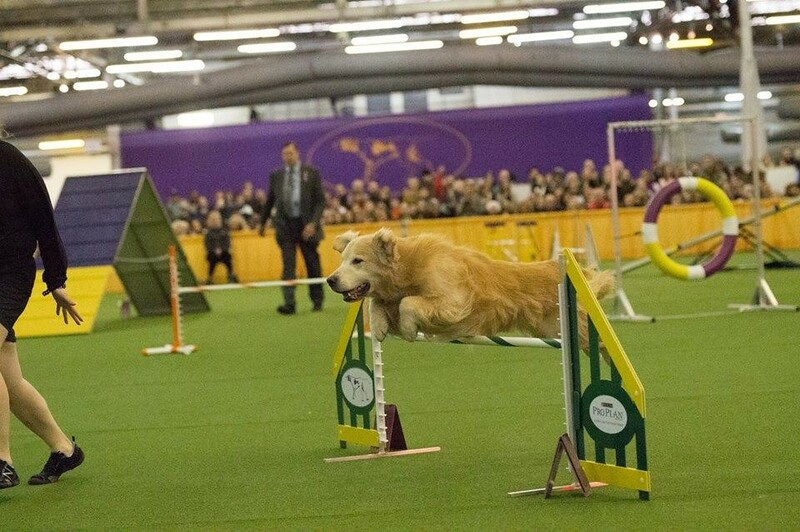 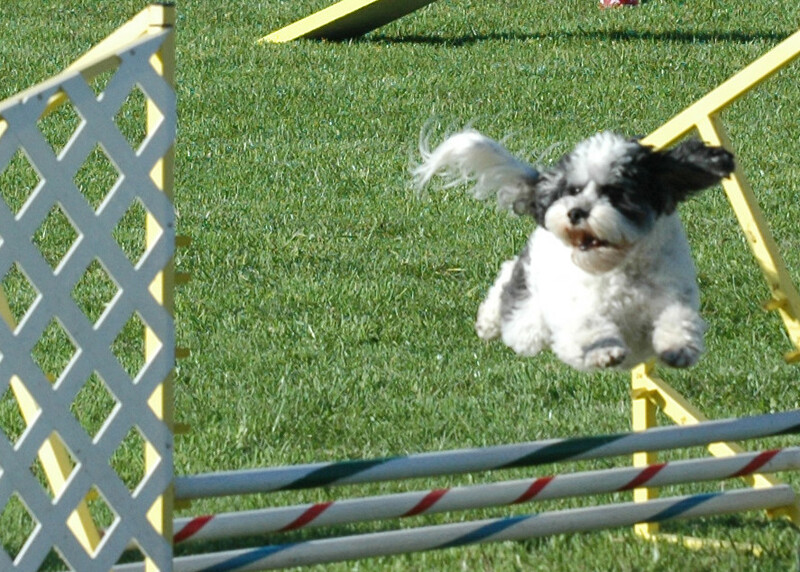 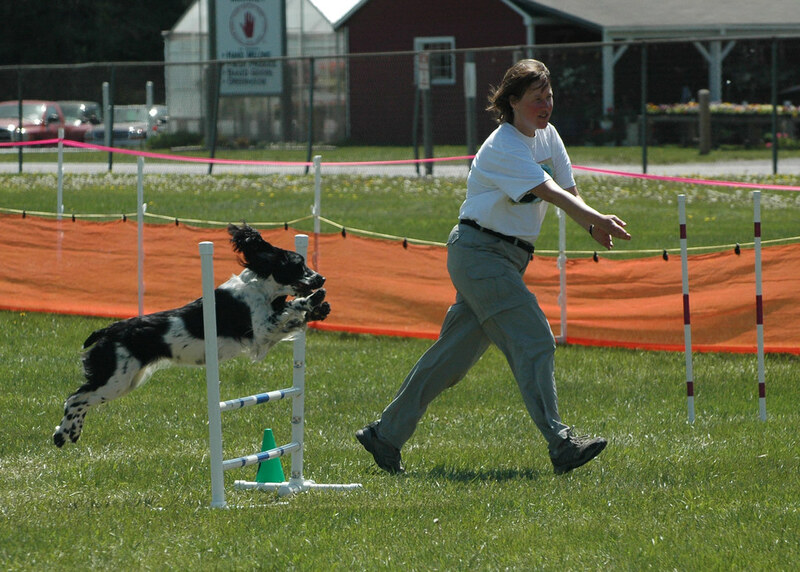 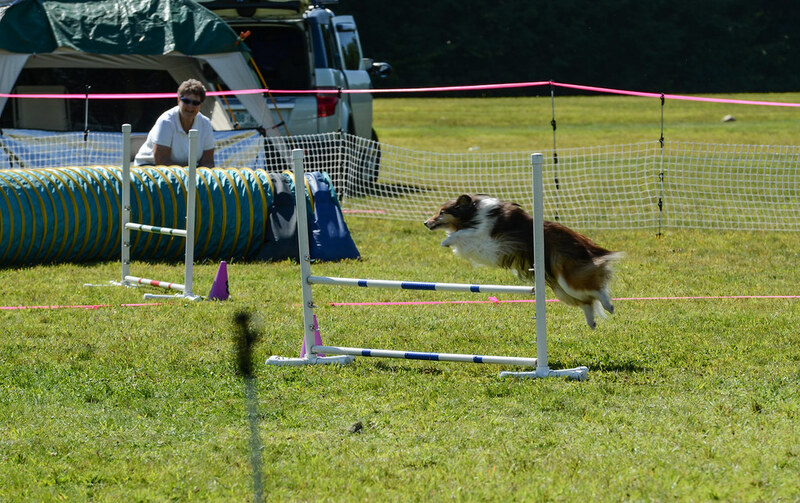 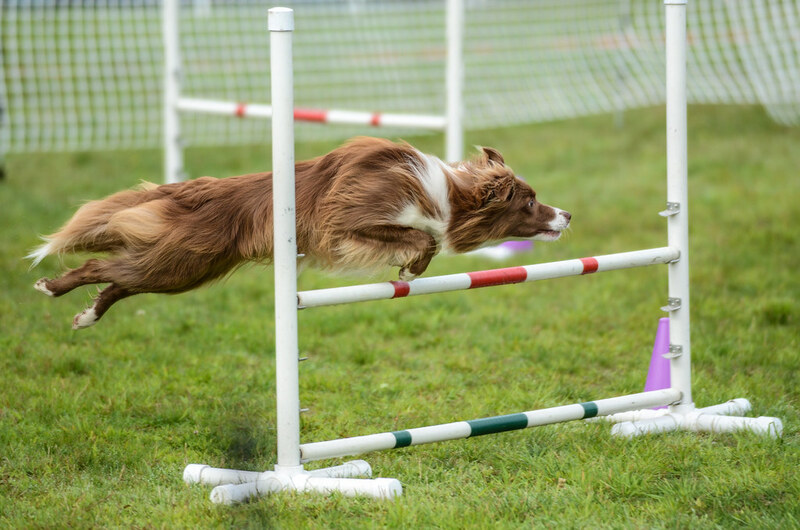 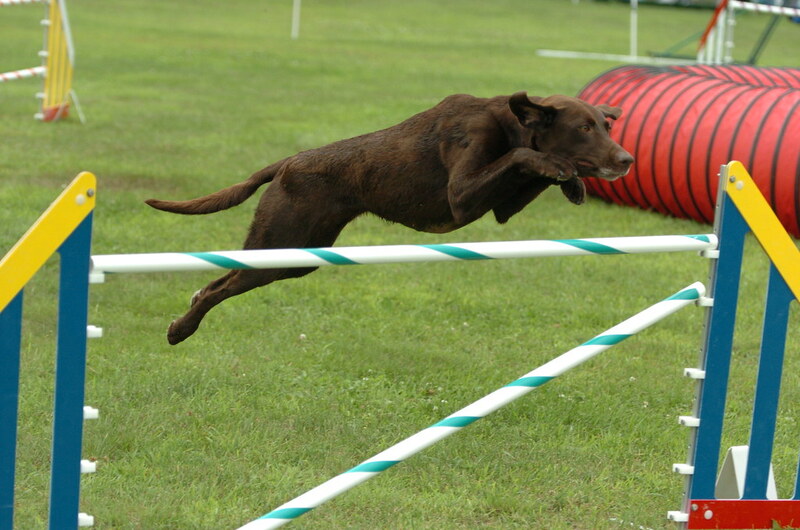 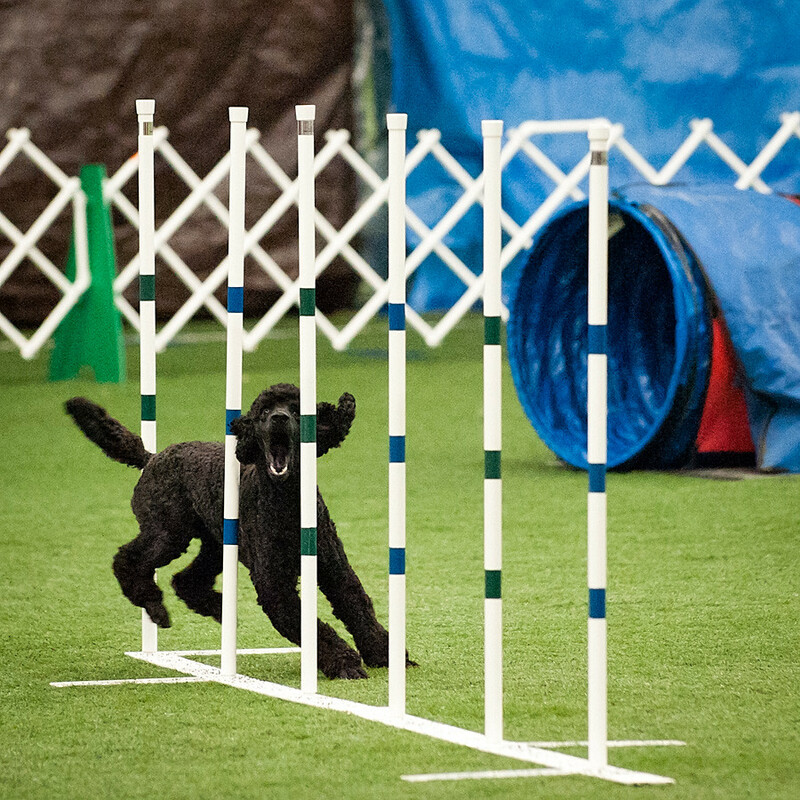 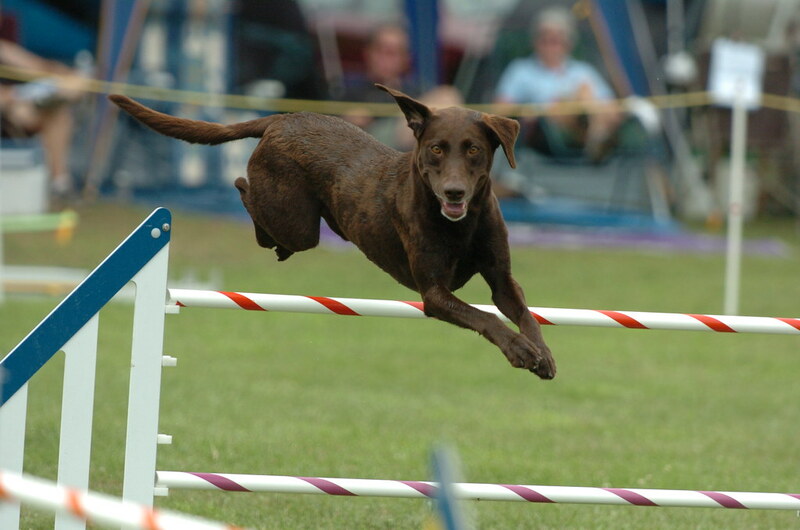 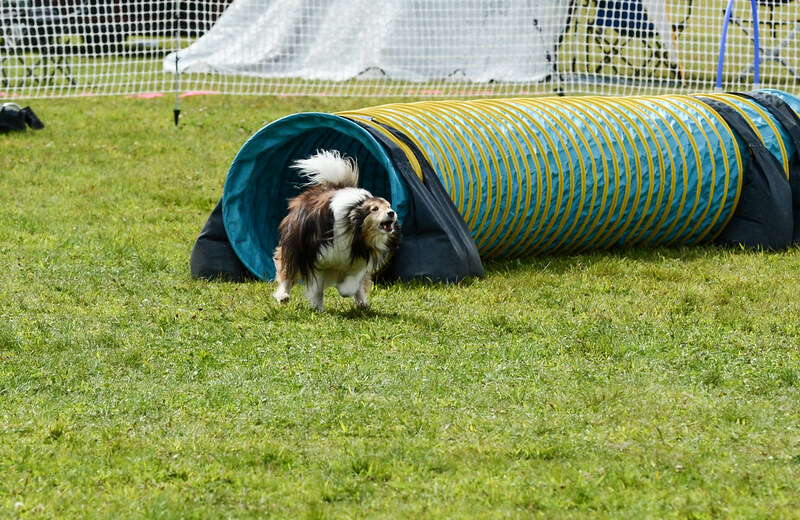 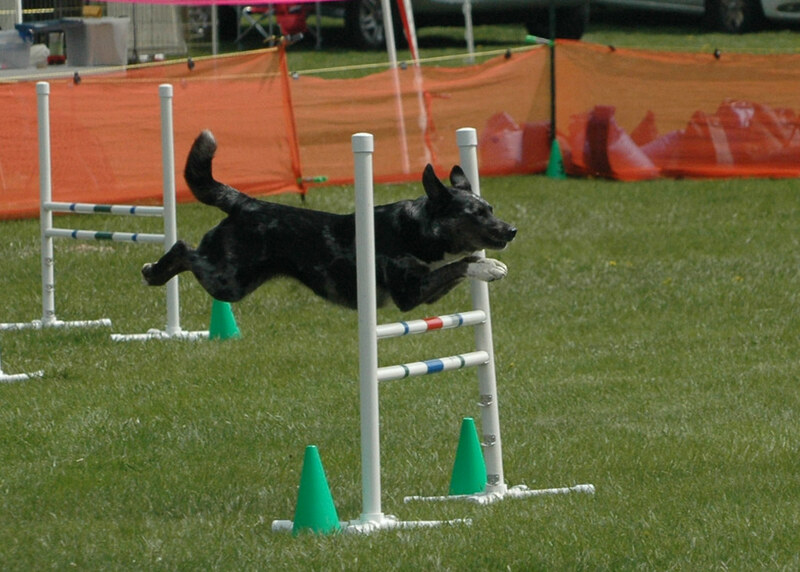 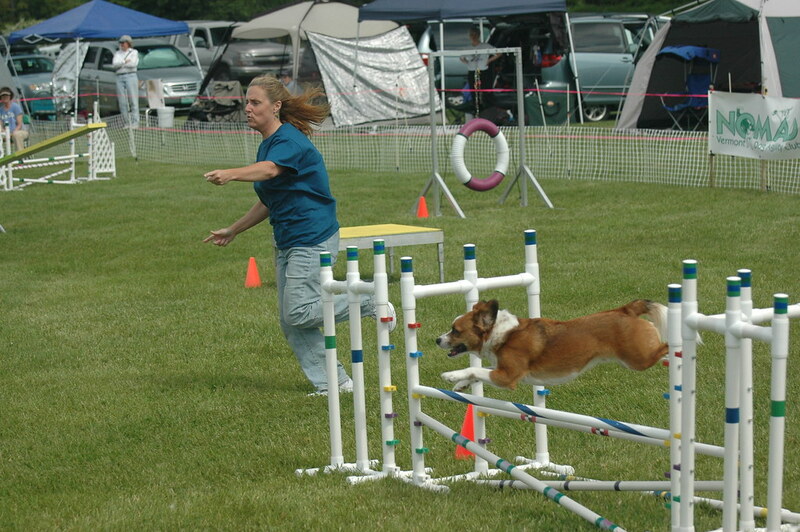 There are various training techniques and schools of thought on how to teach agility, and all of them are based on the theory of rewarding success. 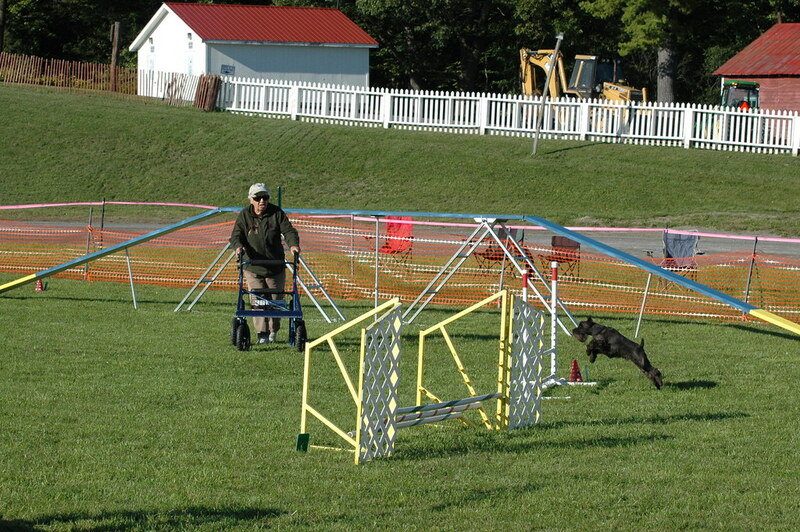 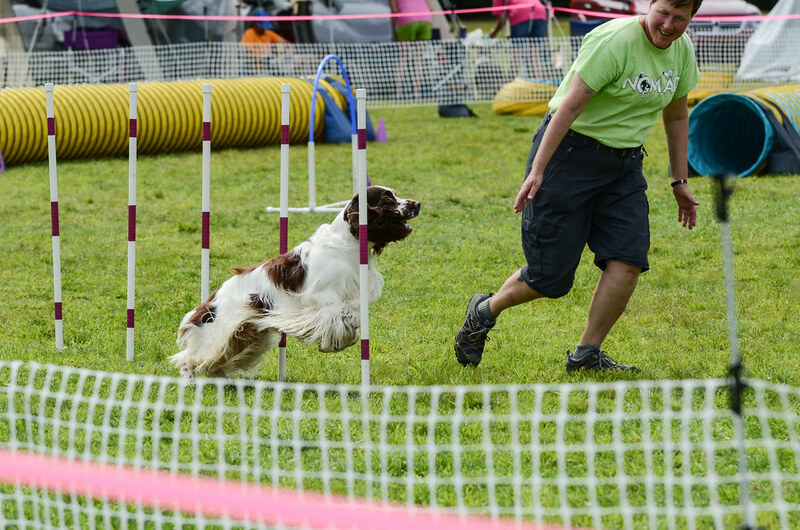 As the dog and handler progress, they will soon be linking several obstacles in a row, and eventually string together an entire course. 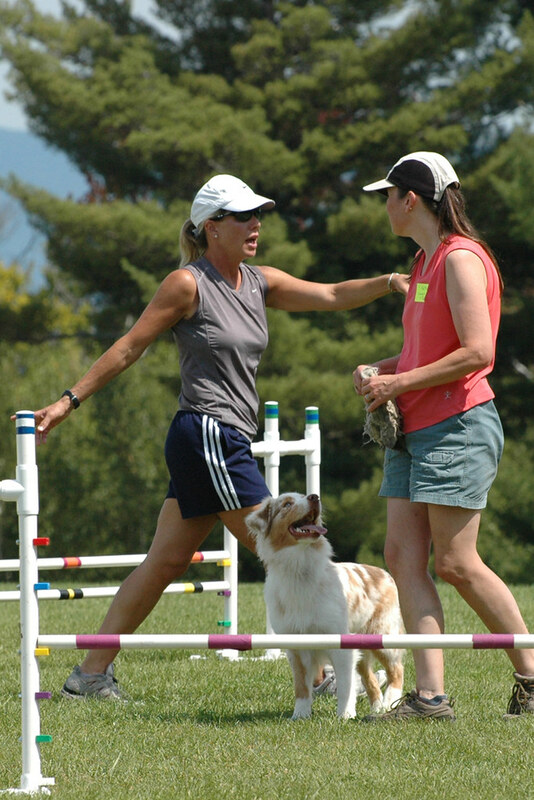 If this sounds like something you want to do with your dog, take a look at our Resources page and get started today!